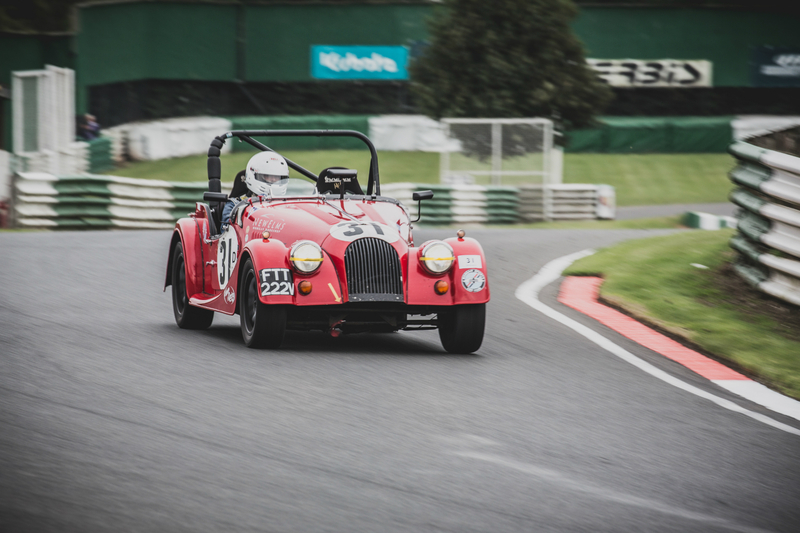 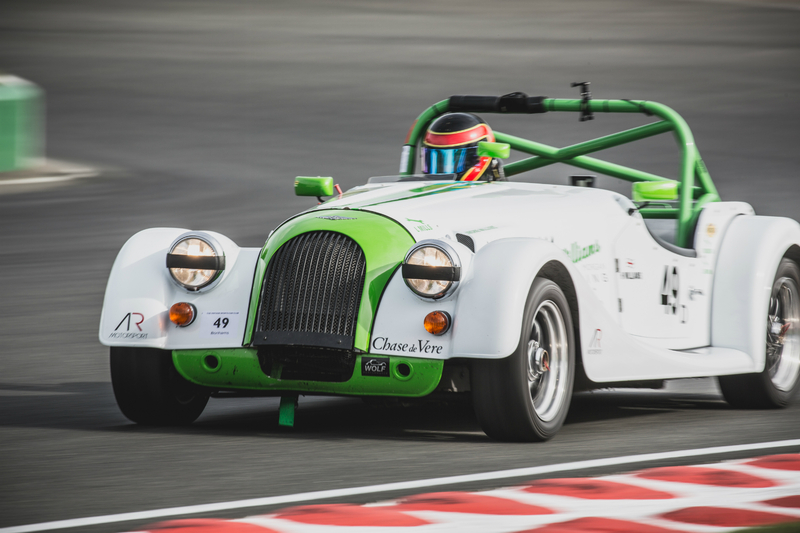 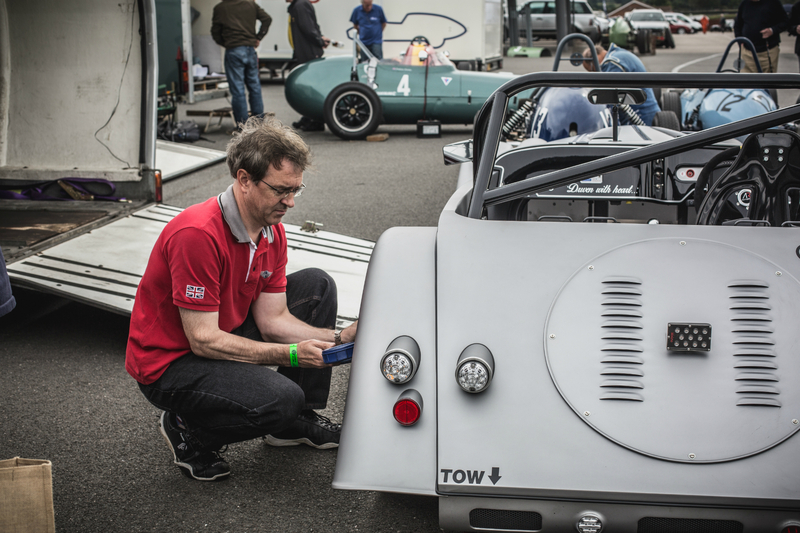 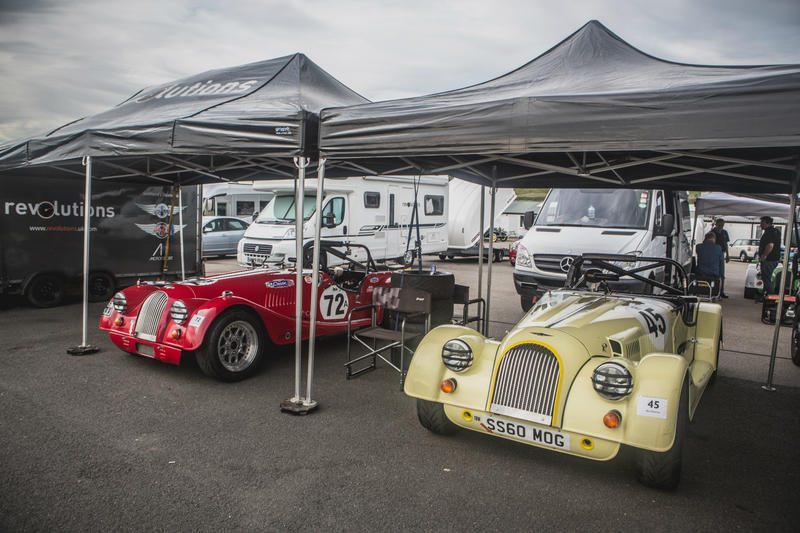 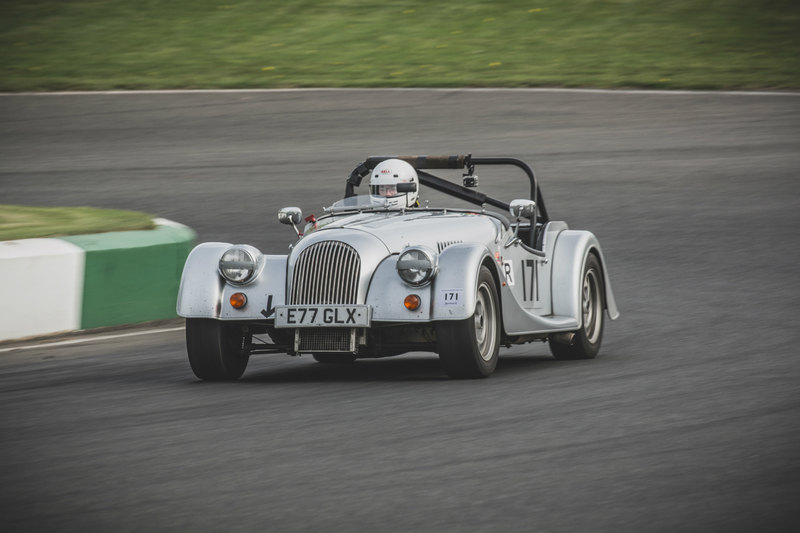 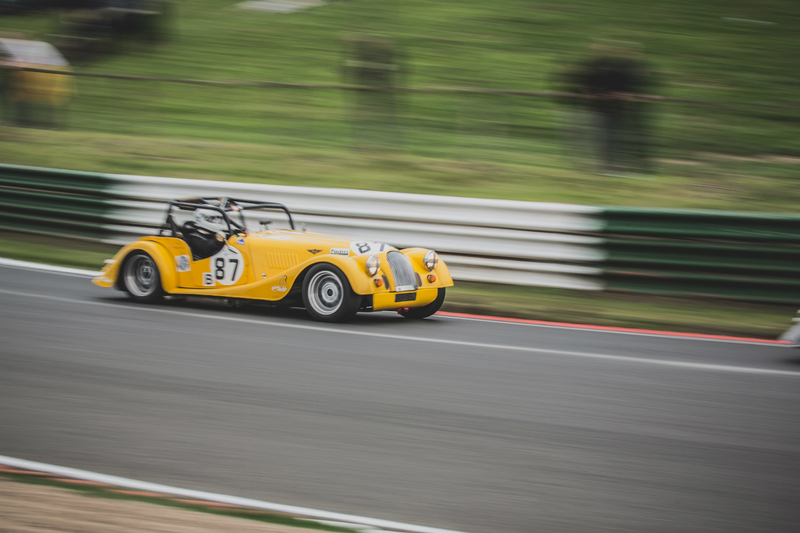 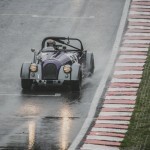 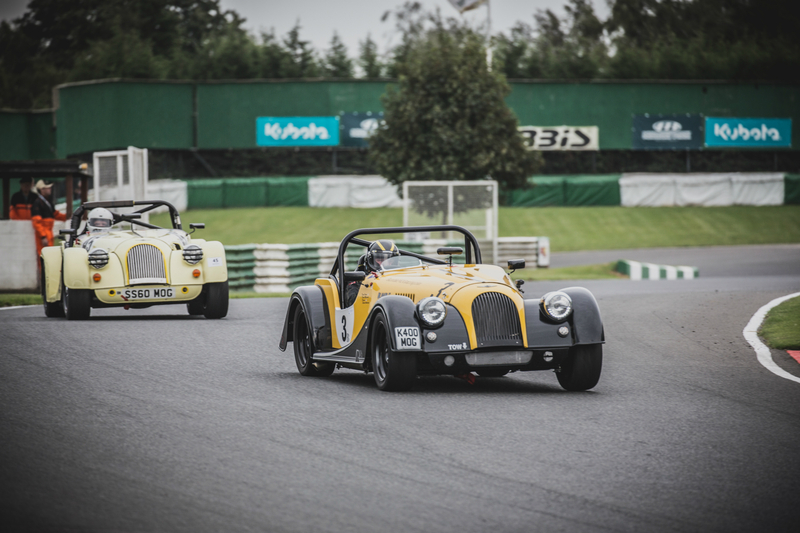 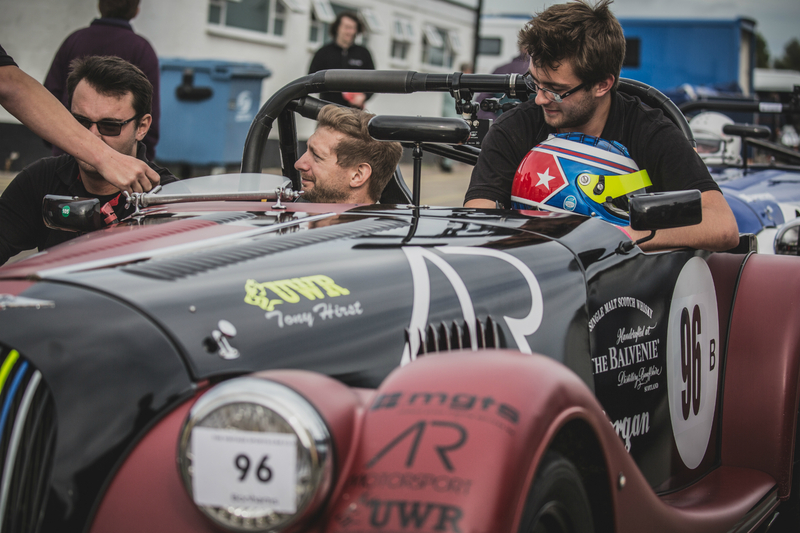 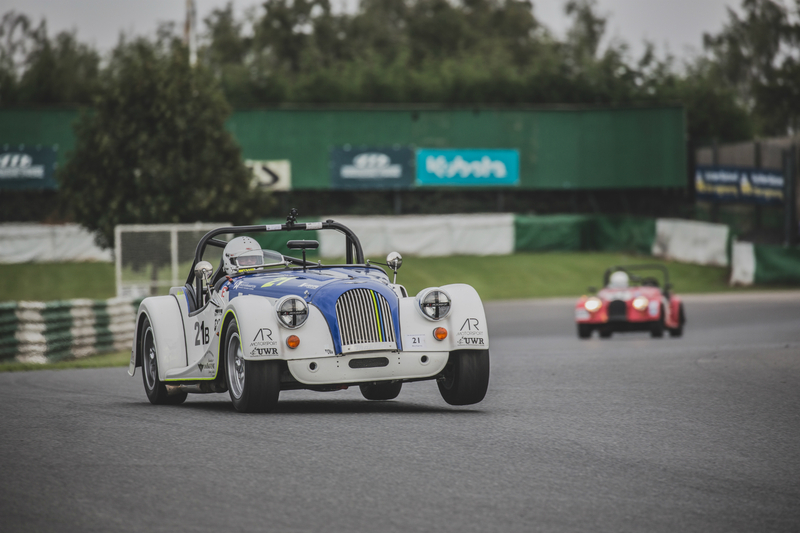 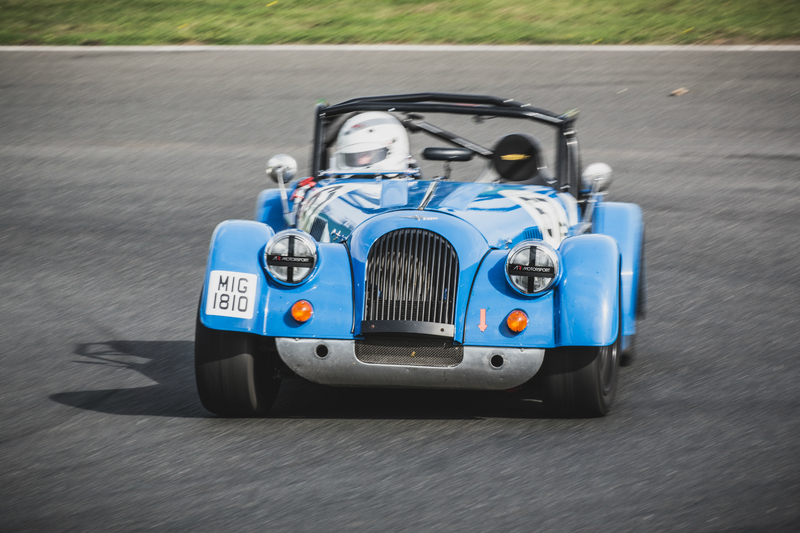 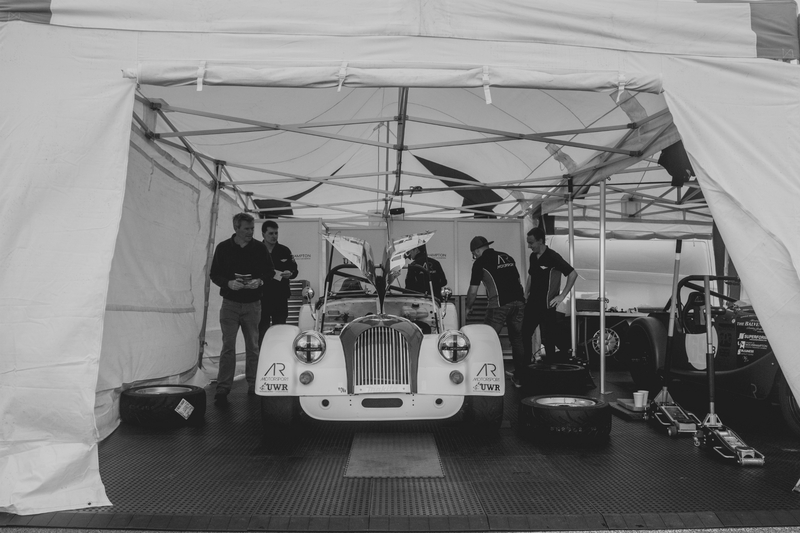 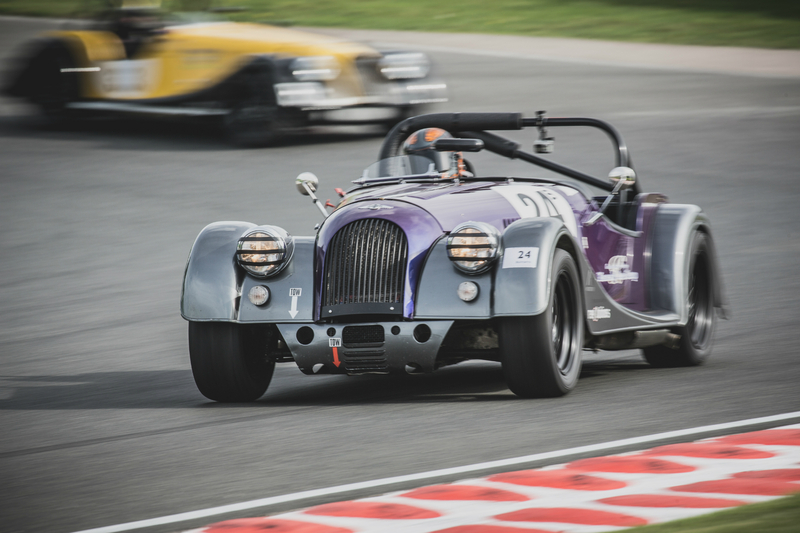 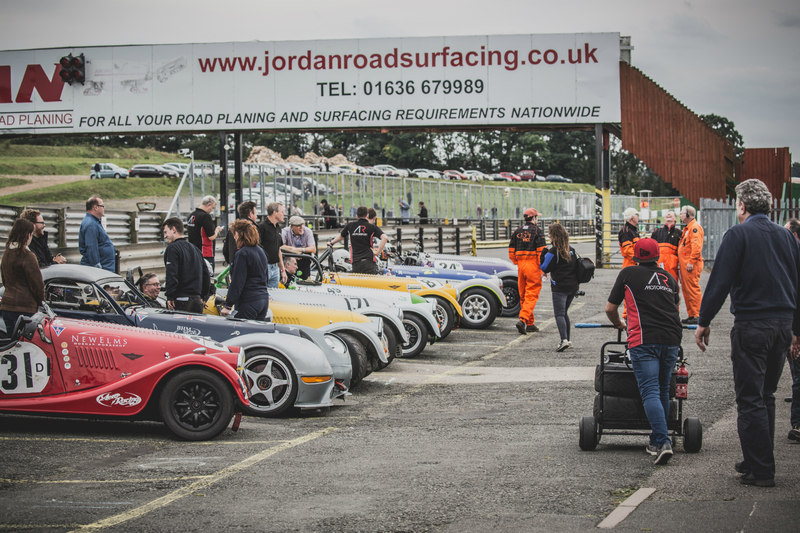 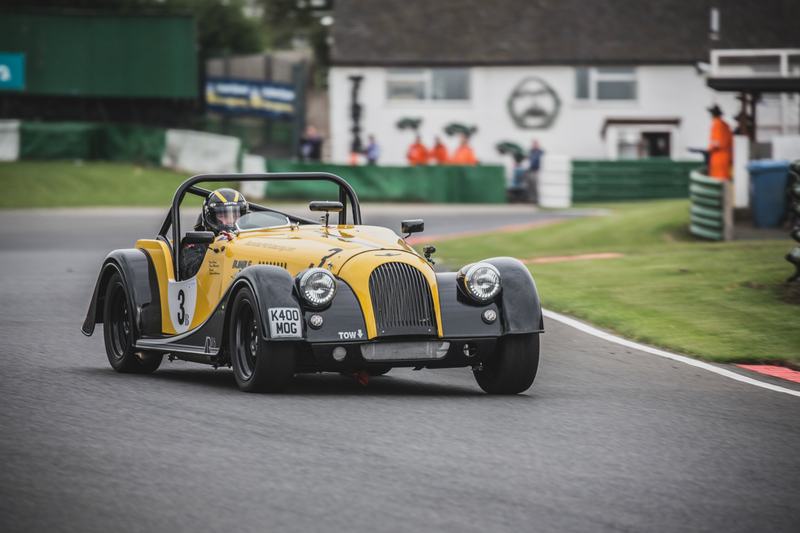 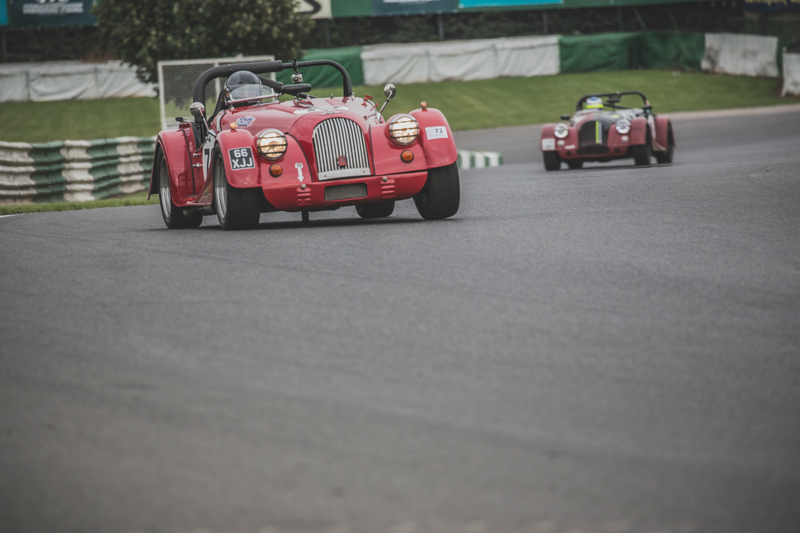 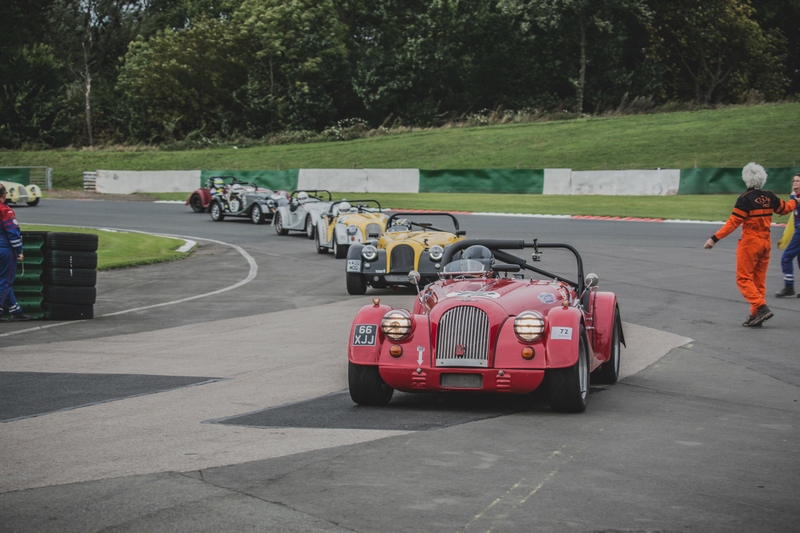 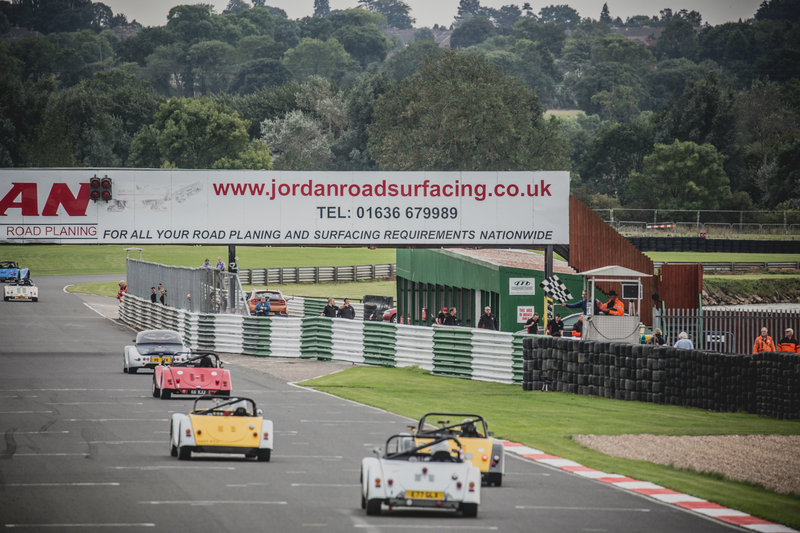 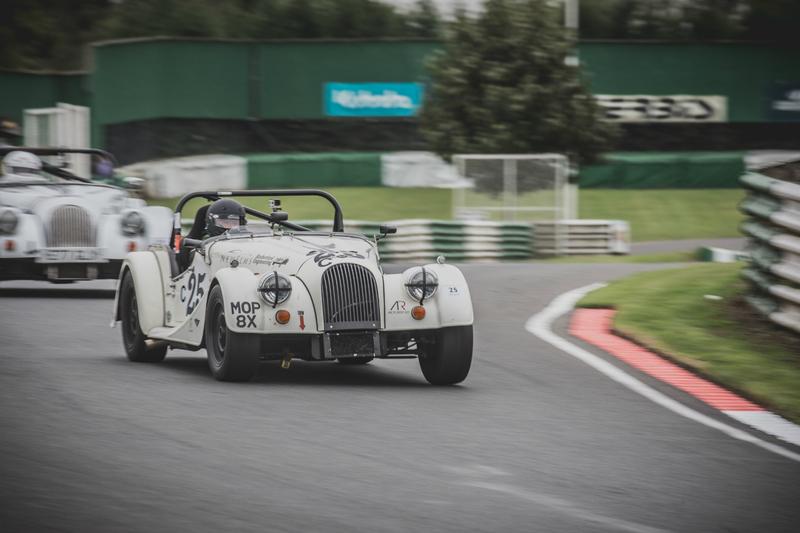 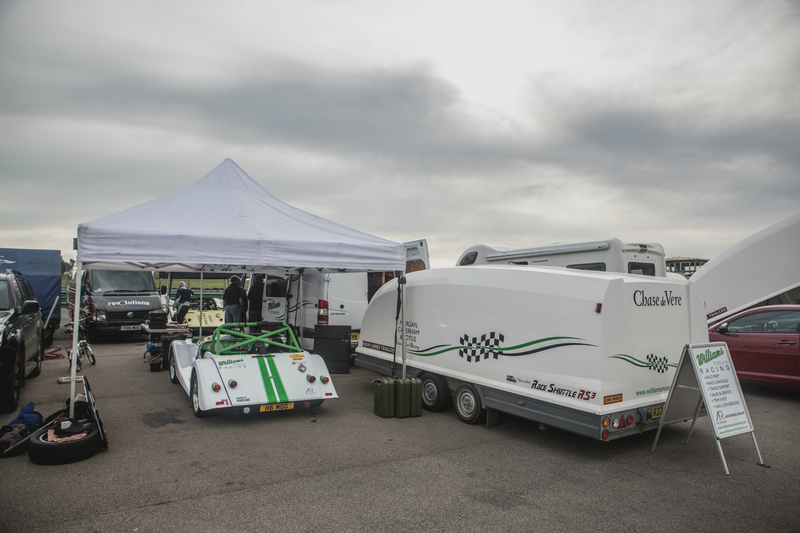 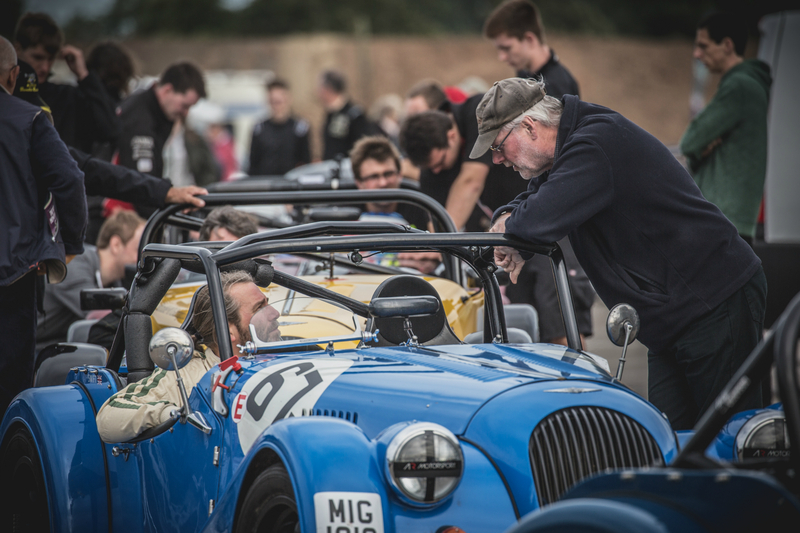 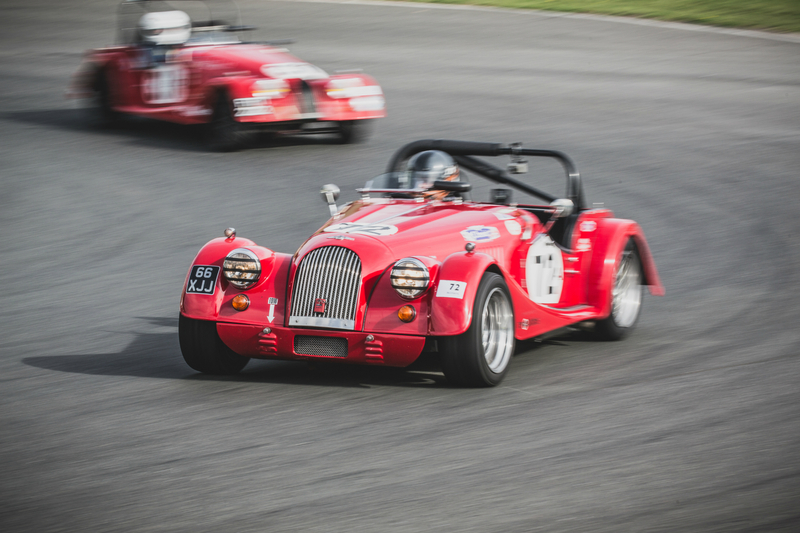 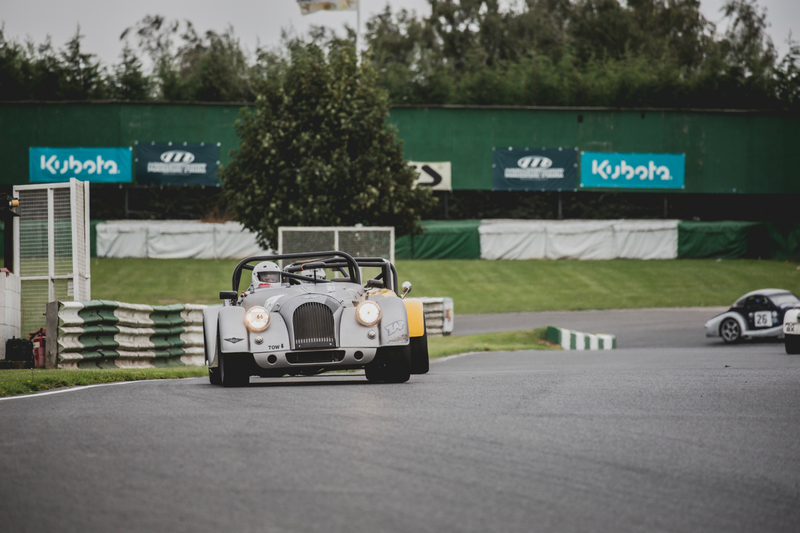 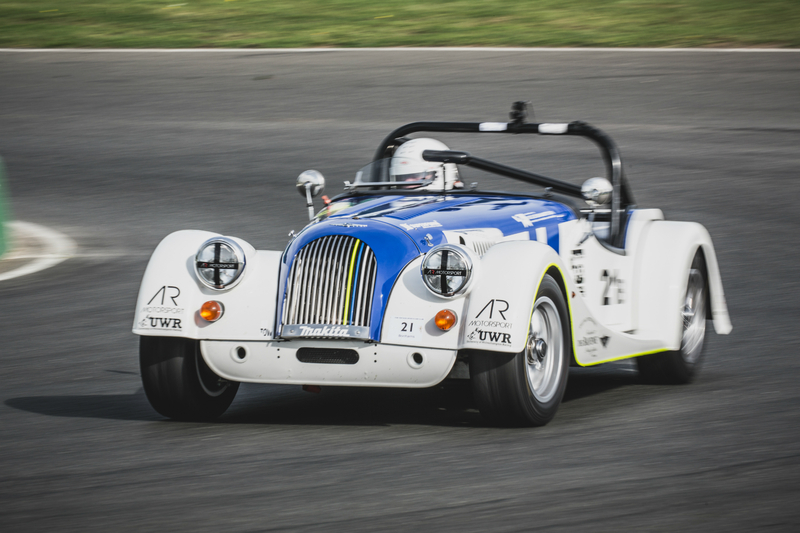 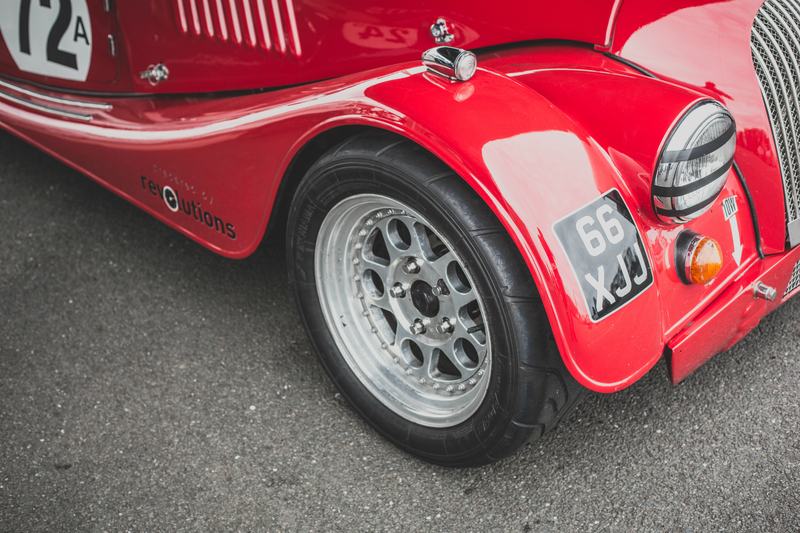 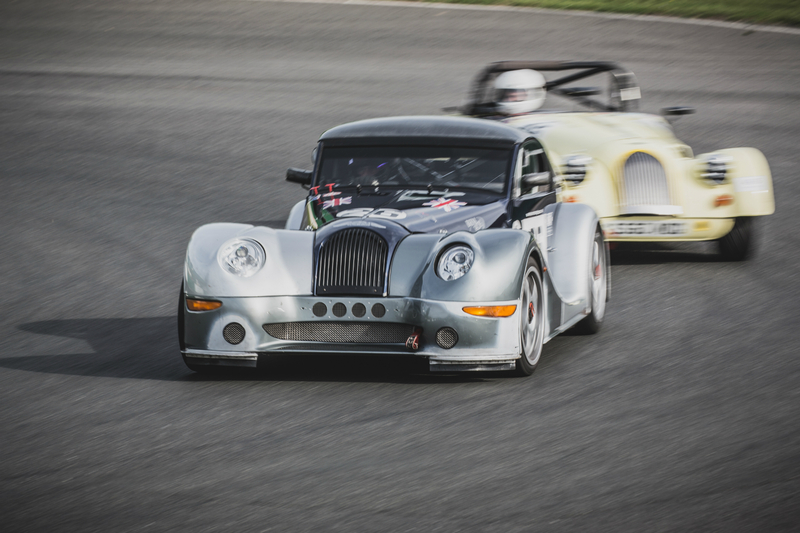 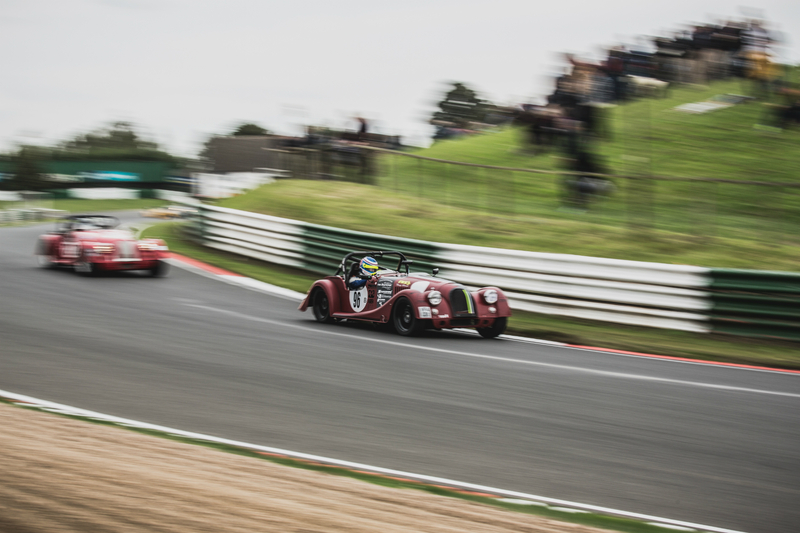 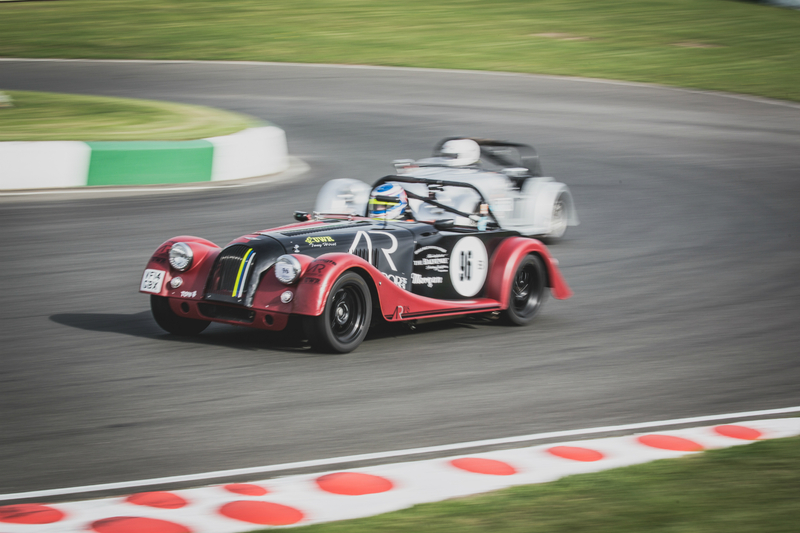 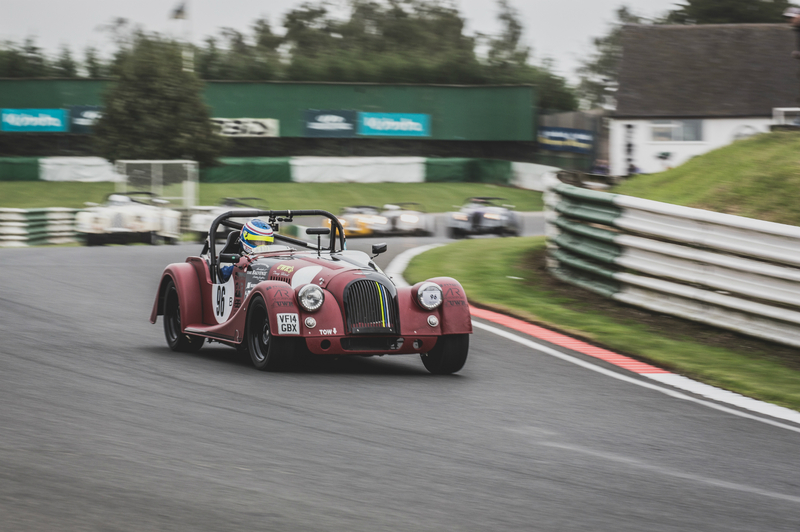 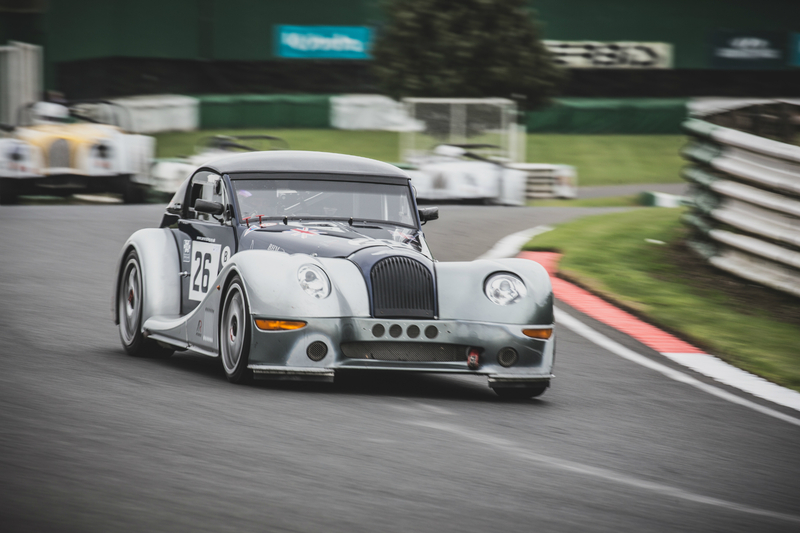 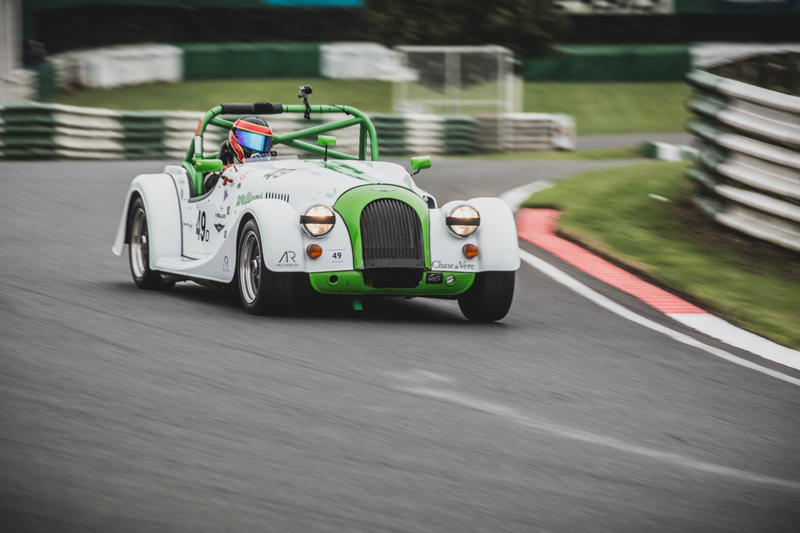 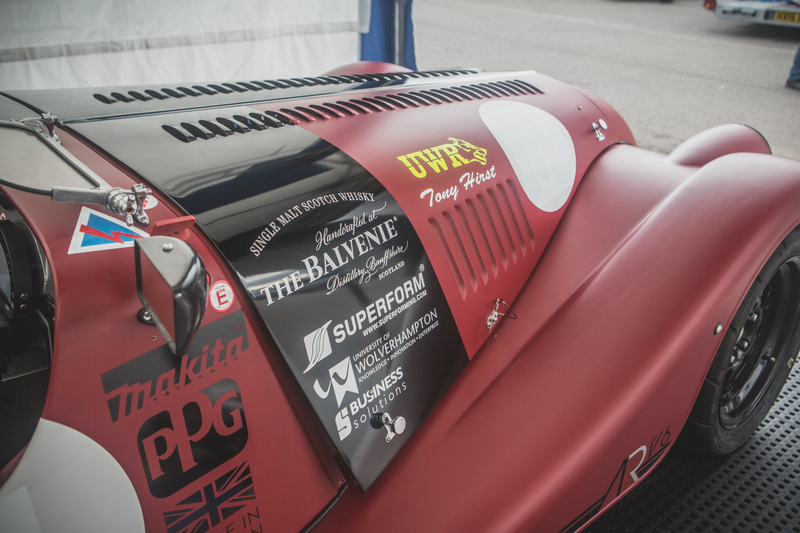 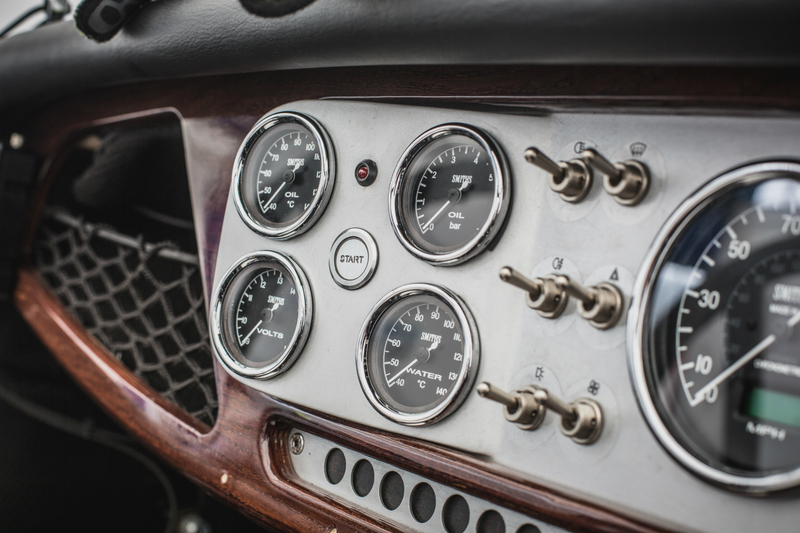 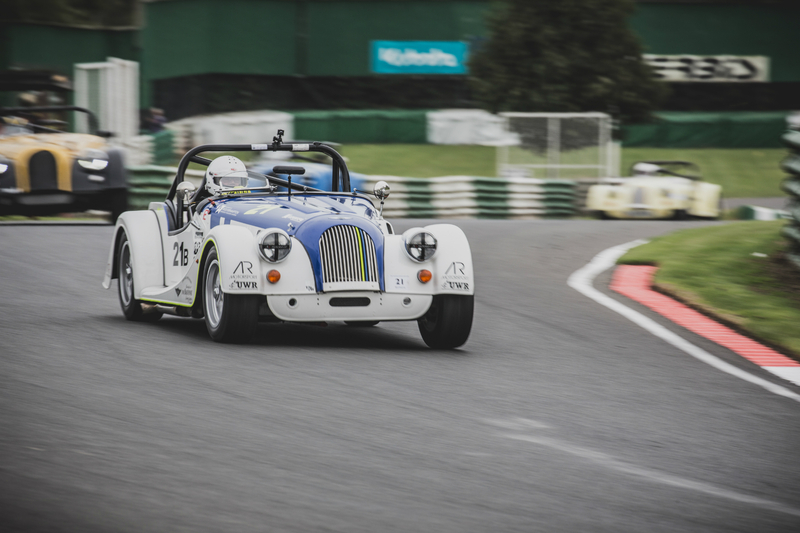 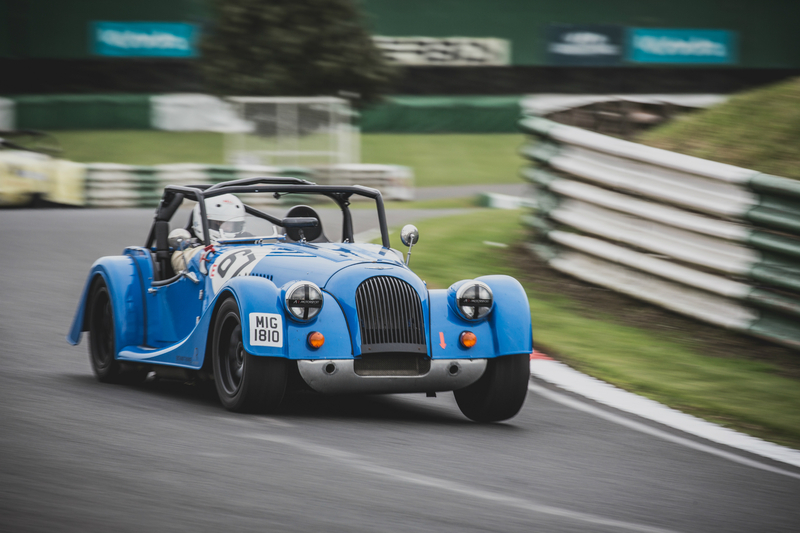 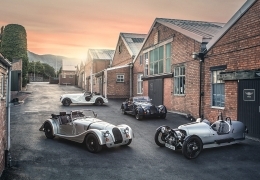 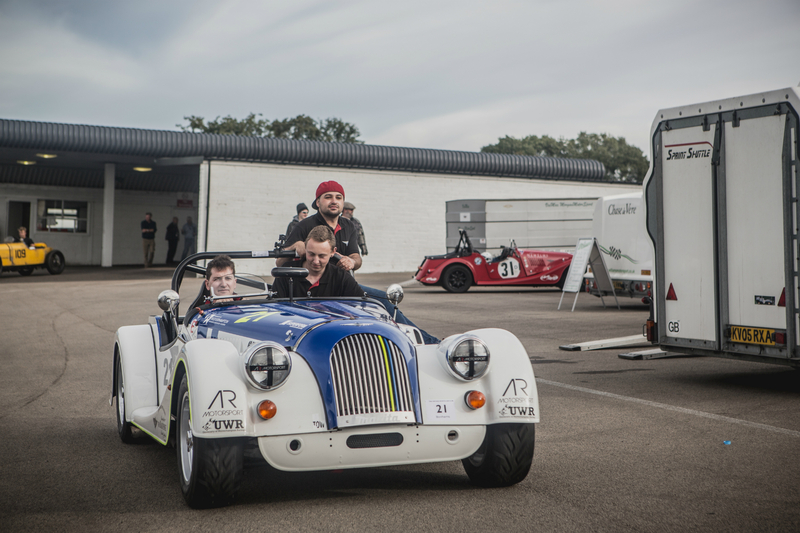 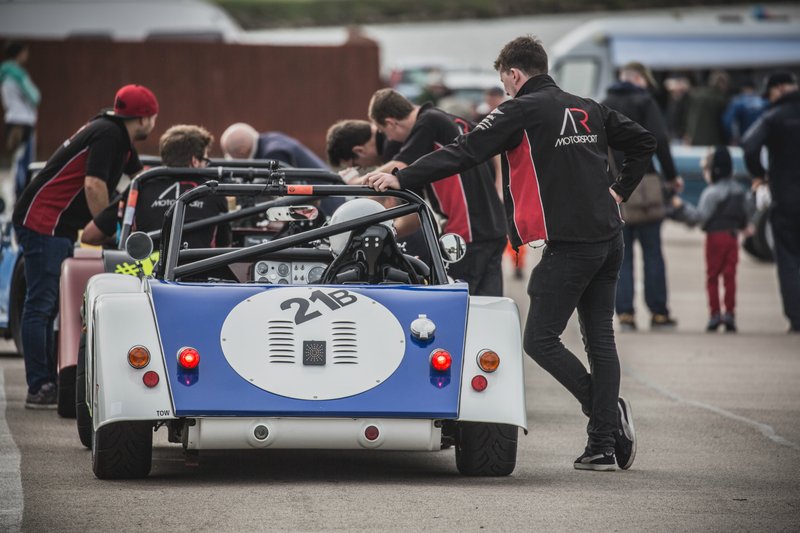 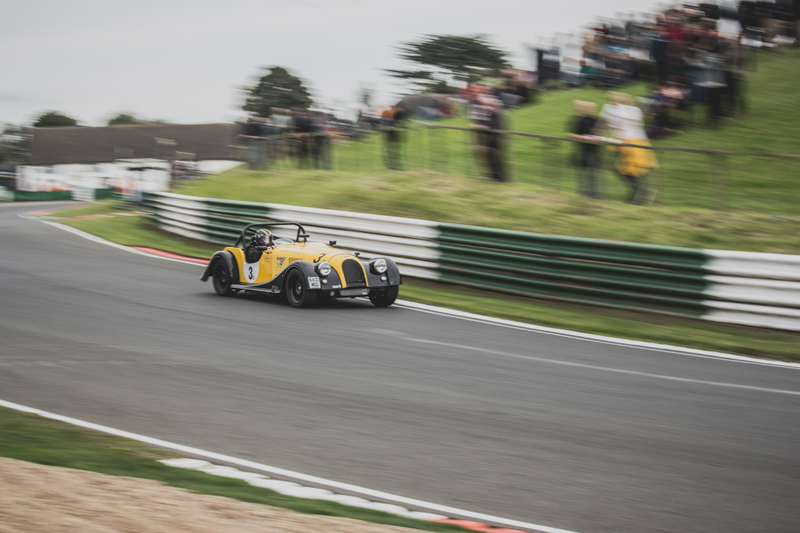 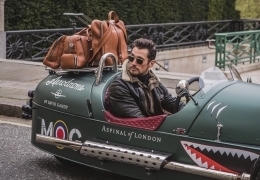 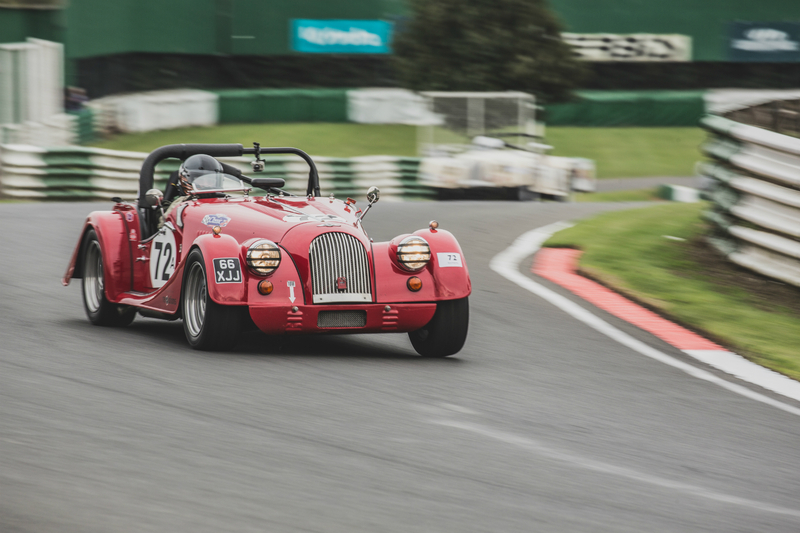 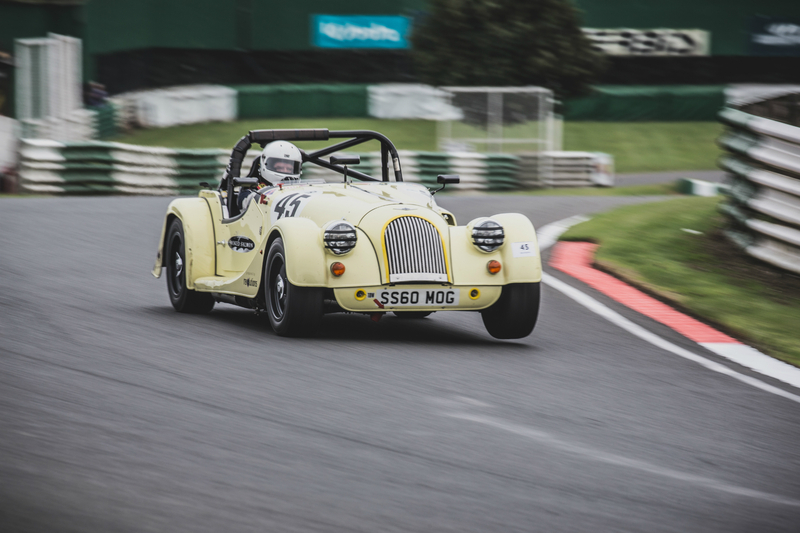 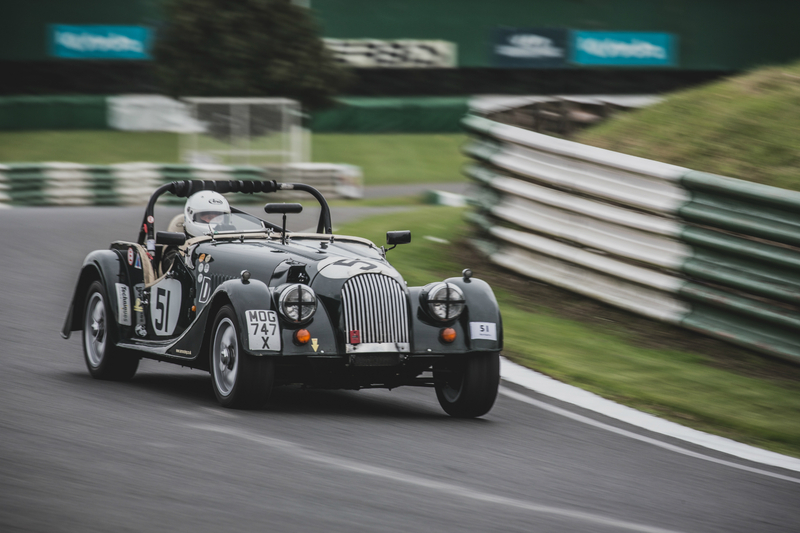 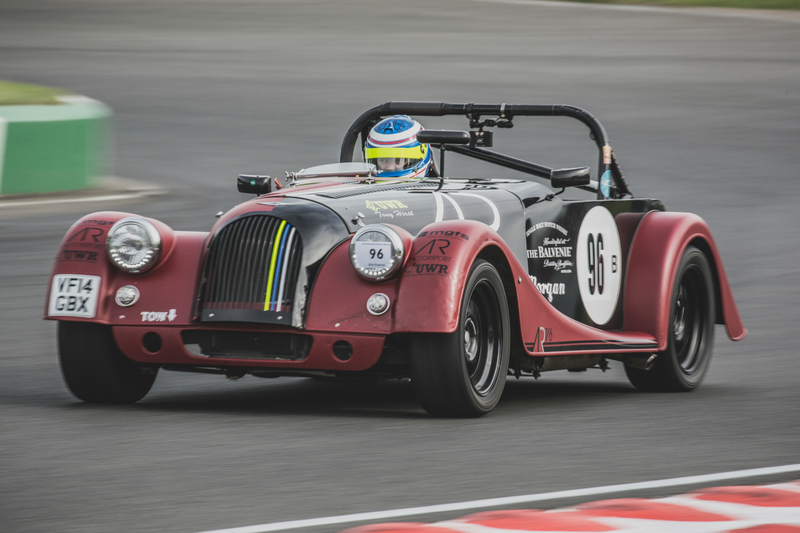 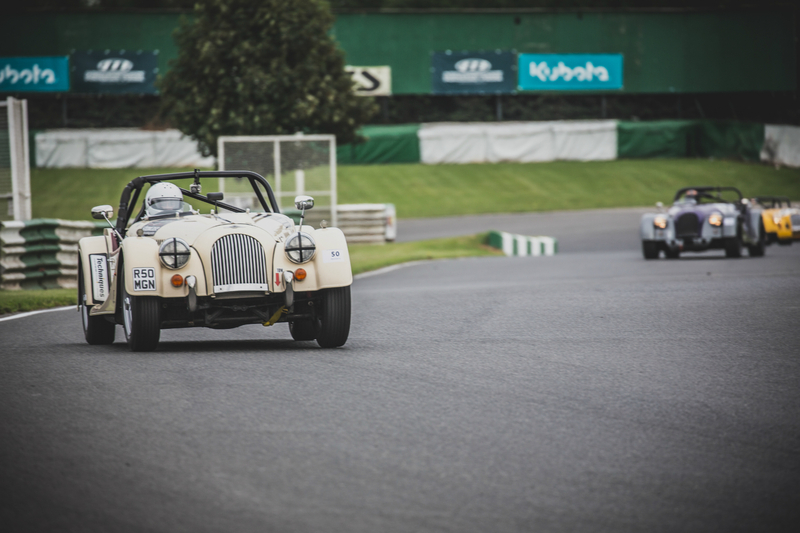 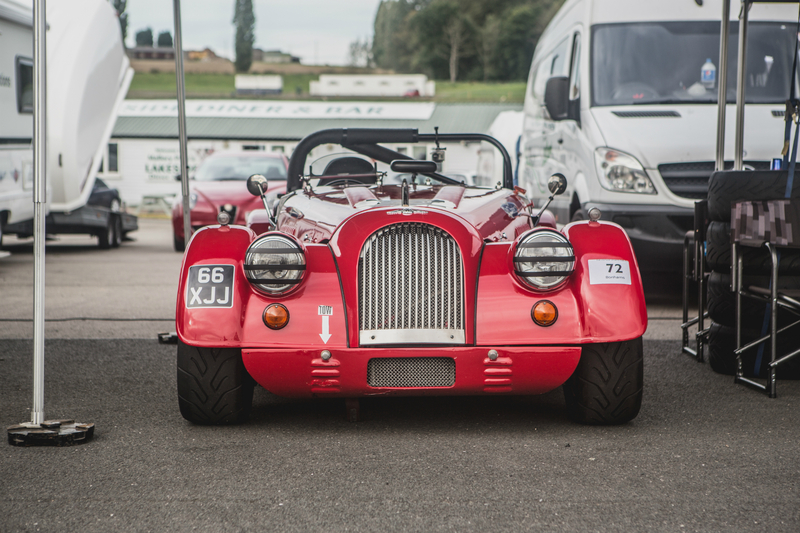 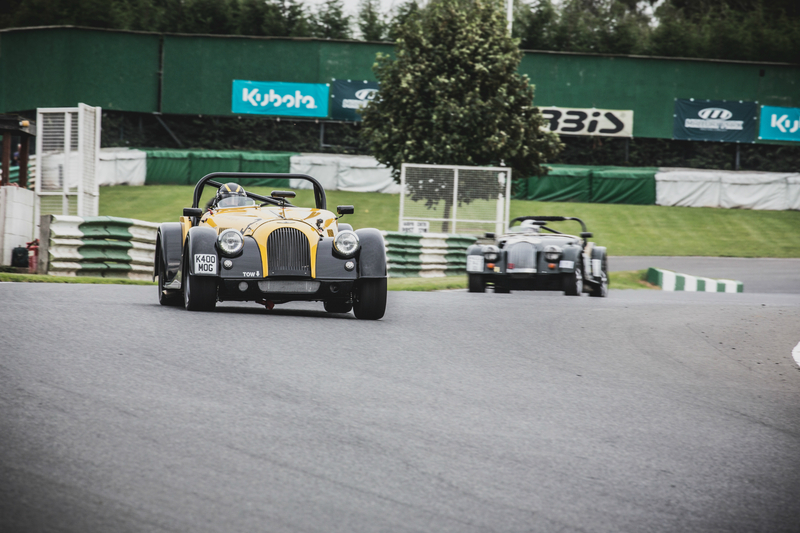 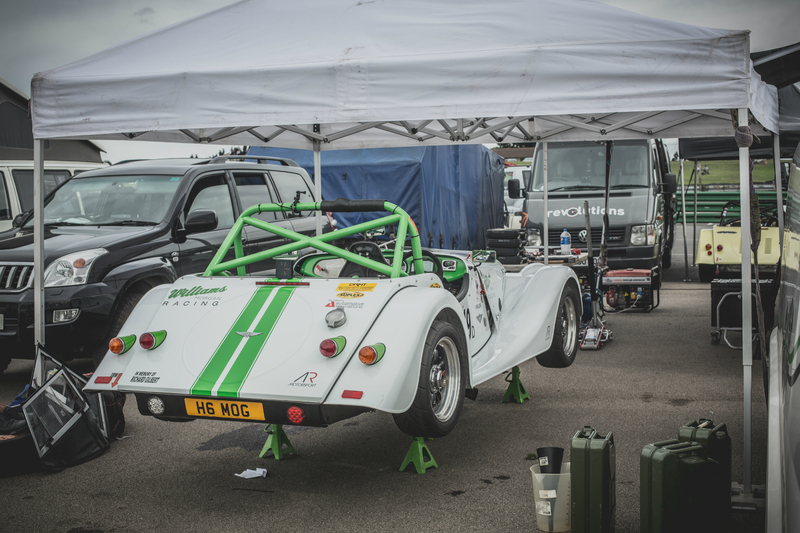 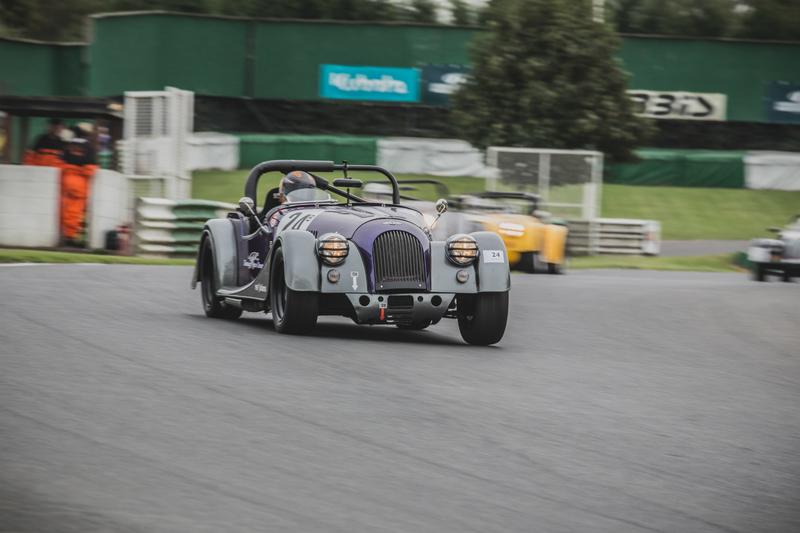 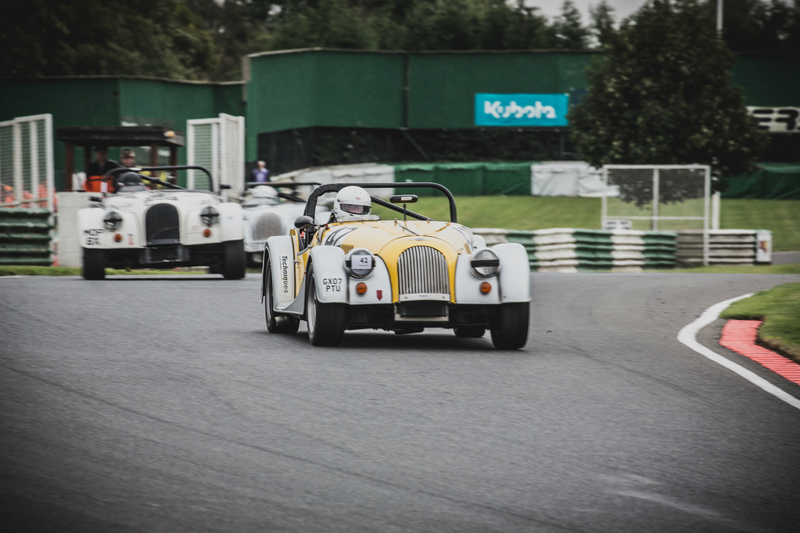 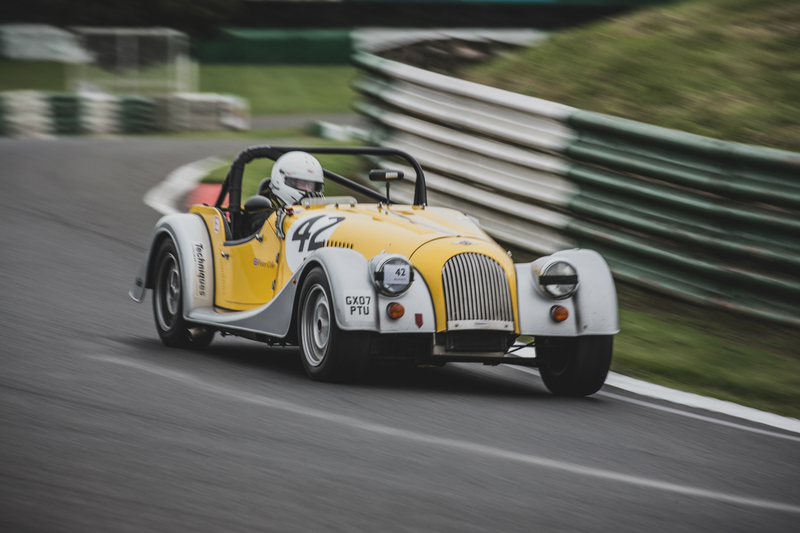 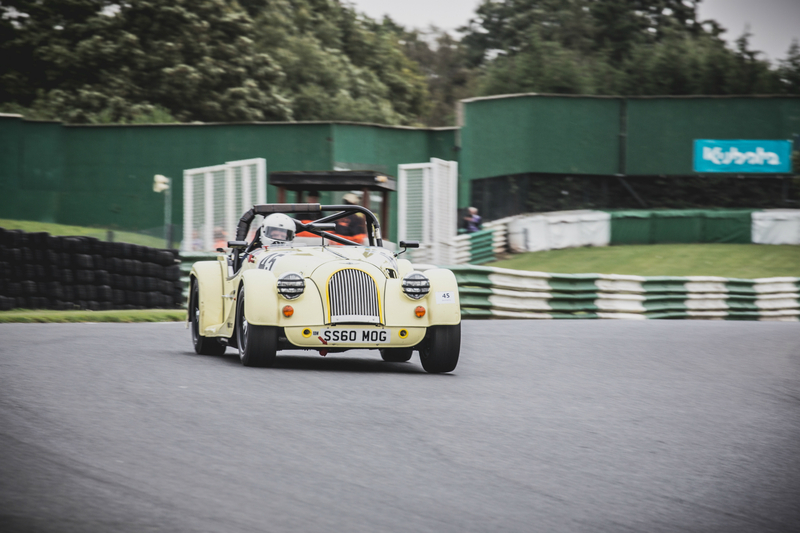 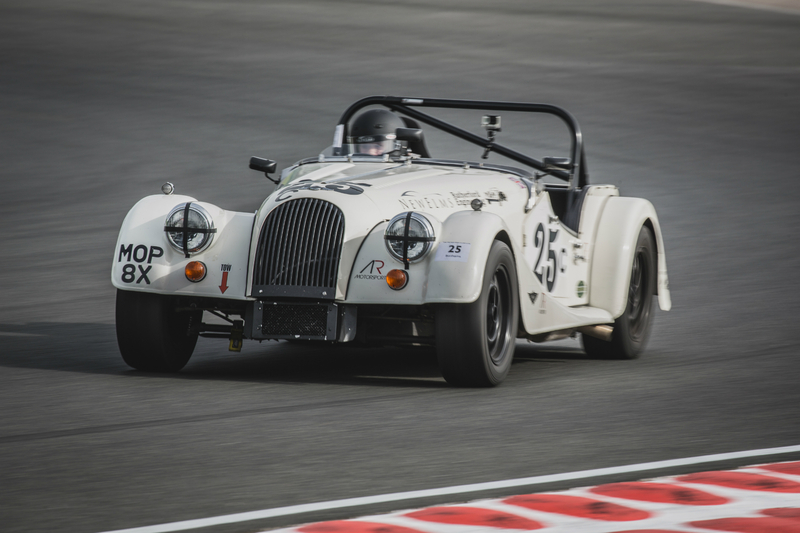 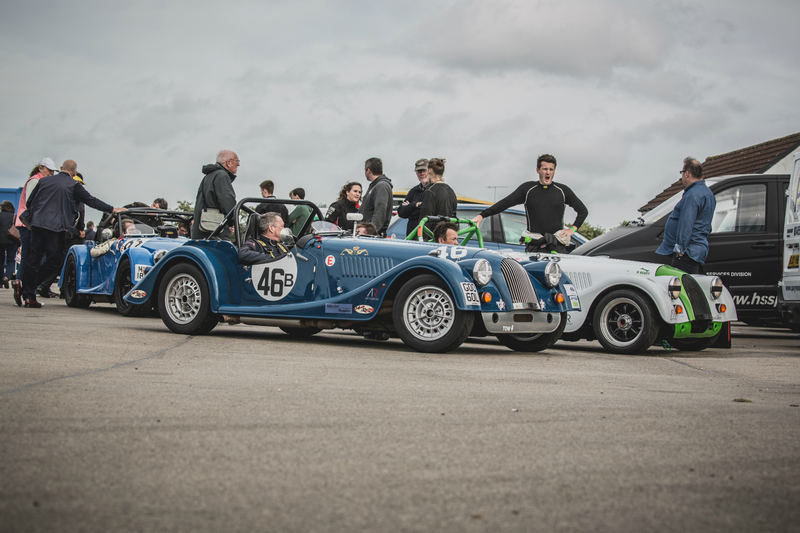 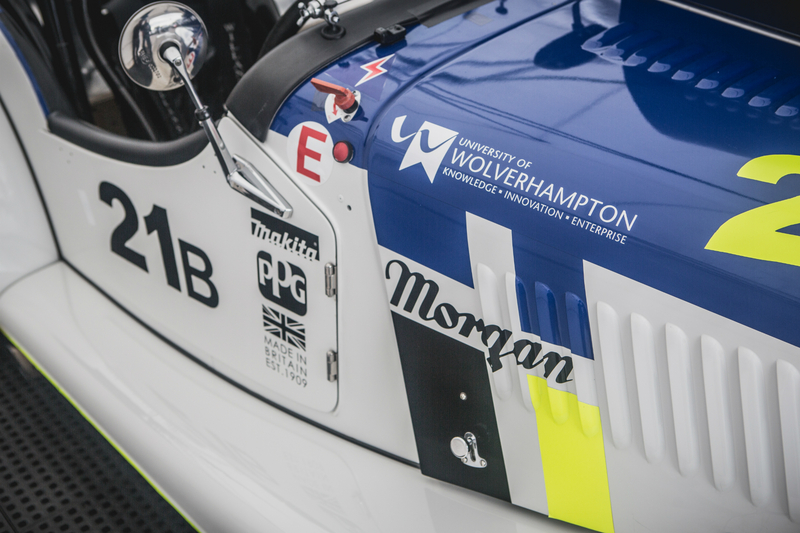 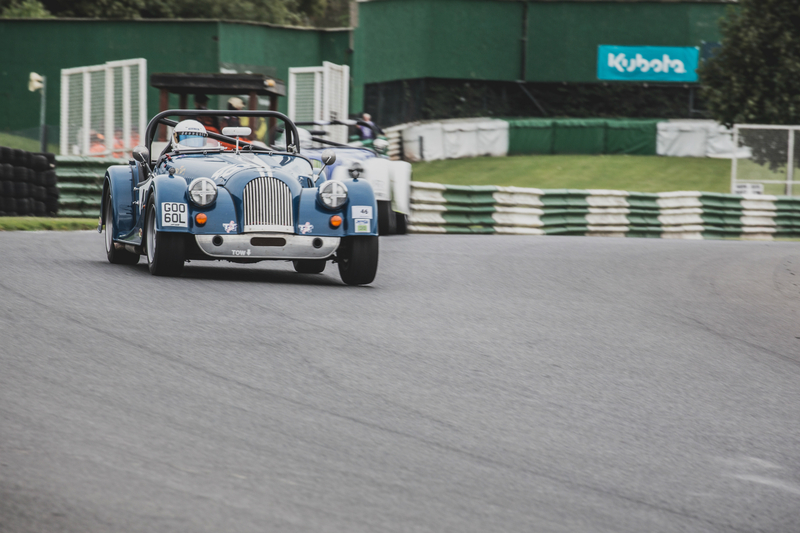 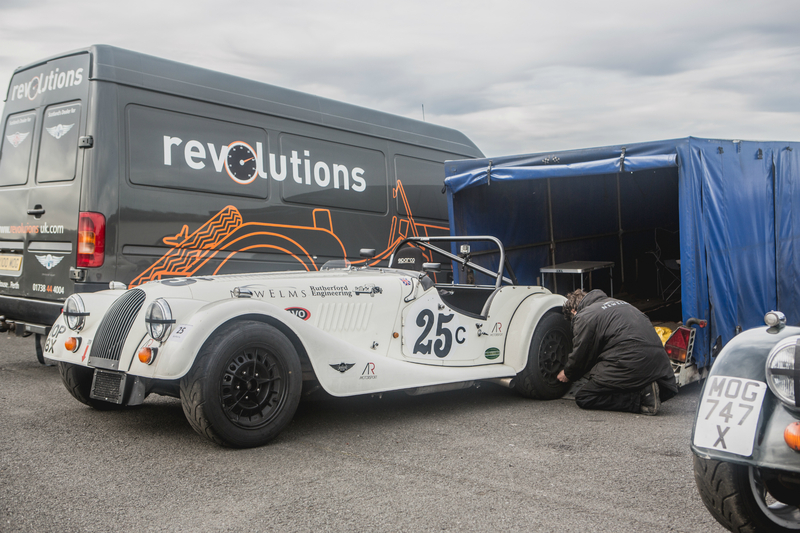 With Summer all but over, the Morgan Challenge headed to Mallory Park last Saturday (24/09/2016) for the penultimate round of the 2016 season. 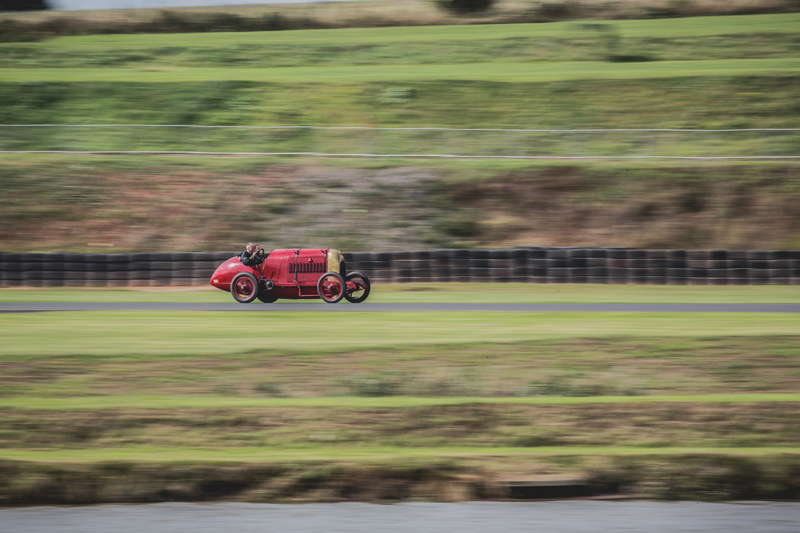 Competing once again as part of VSCC meeting, it was a welcomed forecast of dry weather, making a change from the previous round at Oulton Park. 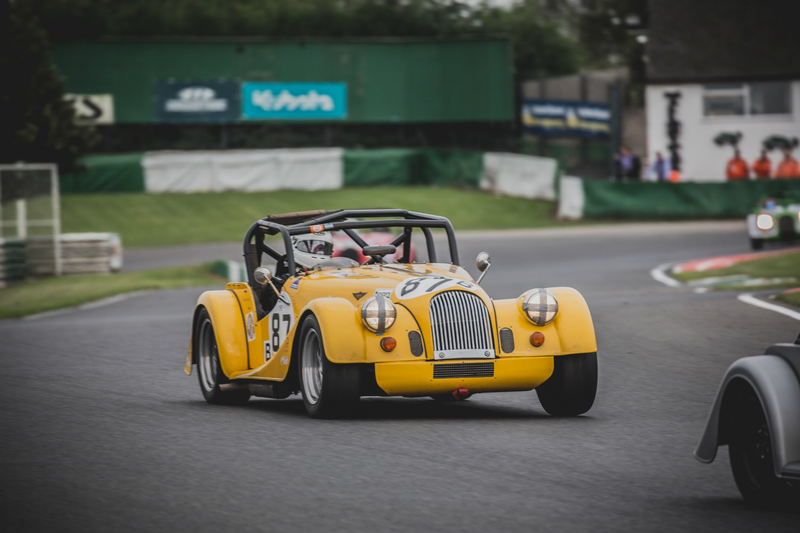 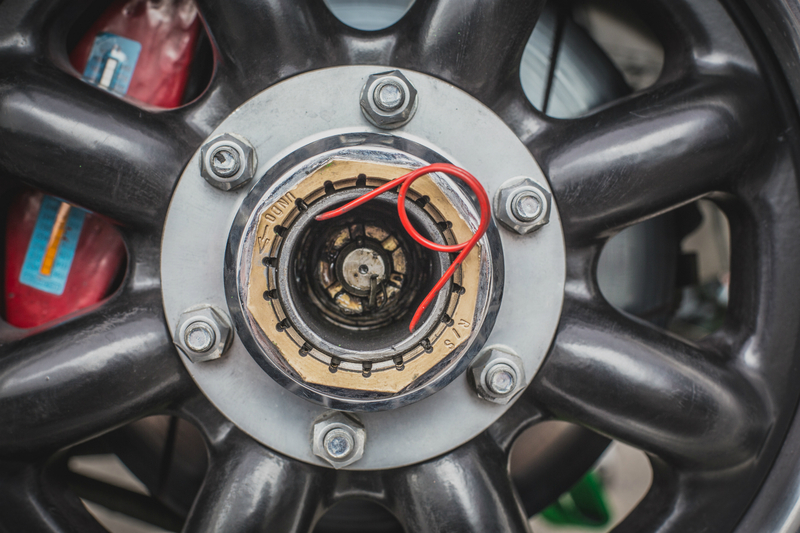 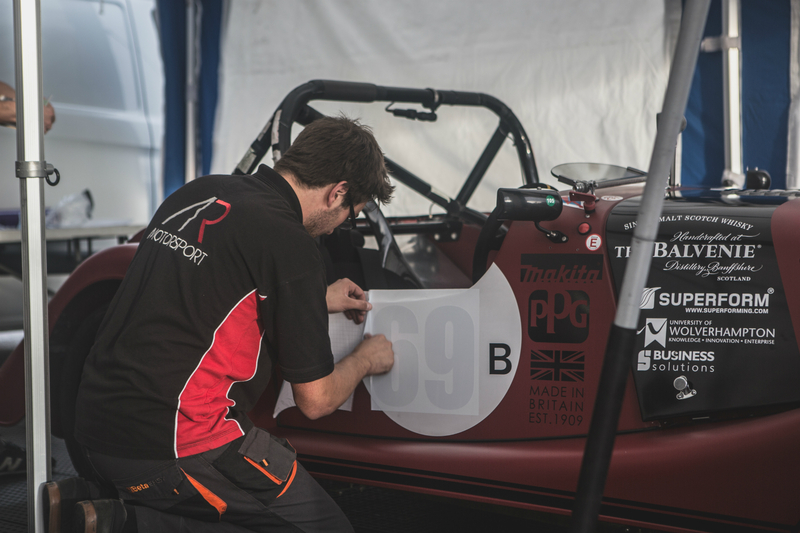 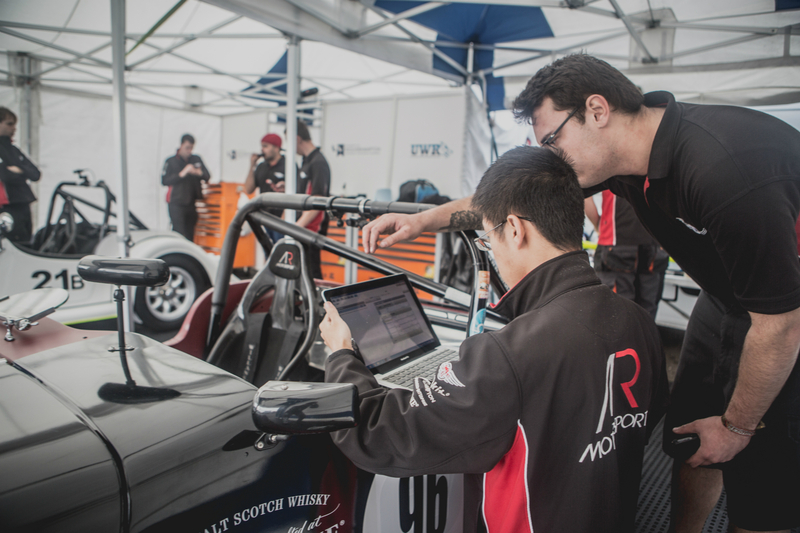 Mallory Park is one of the more challenging and unforgiving circuits of the season, and it seemed that only Russell Paterson was the only Class A car able to make the trip. 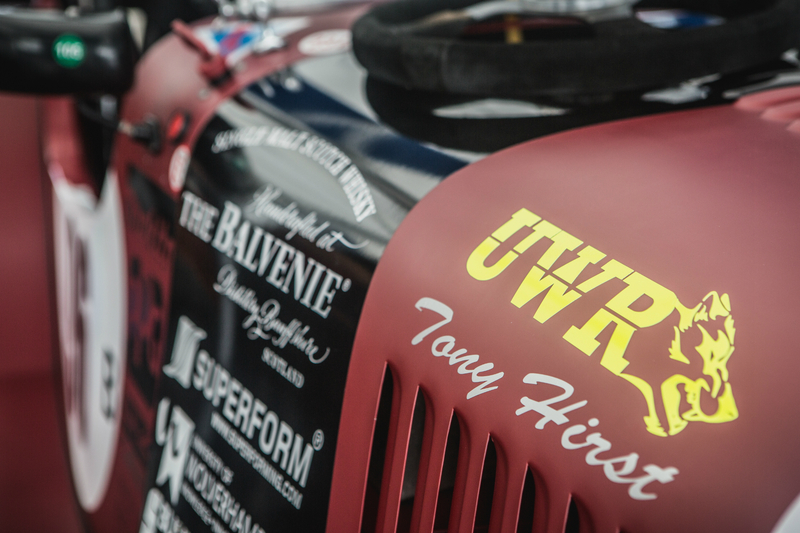 Class B was as full as ever, with a noticeably absent Tony Hirst replaced by UWRacing’s Shane Kelly in the factory ARV6. 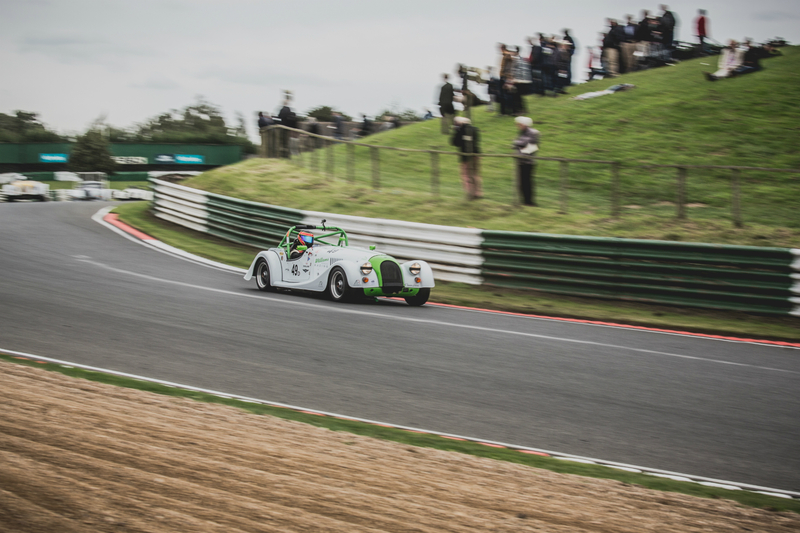 Determined not to be shown up by any Class B entrants, or by his own son, Russell Paterson put his Plus 8 on pole, some sixth tenths ahead of Paterson Jnr. 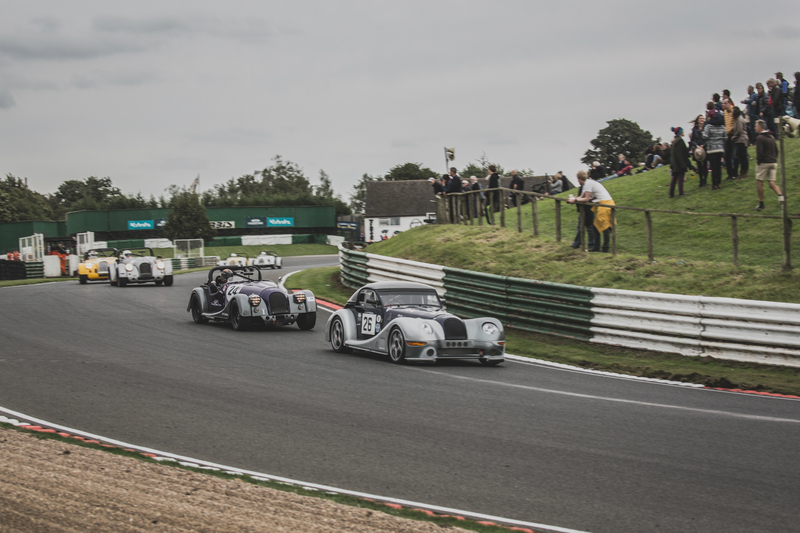 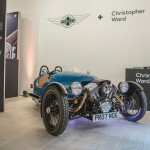 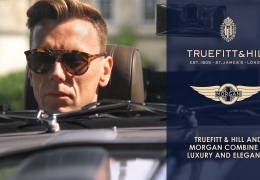 Any ideas that the front-running Class Bs would overtake the lonely Class A car at the start quickly diminished, as Russell kept the lead into the first corner, retaining it until the chequered flag and putting in a very competent performance to take the win. 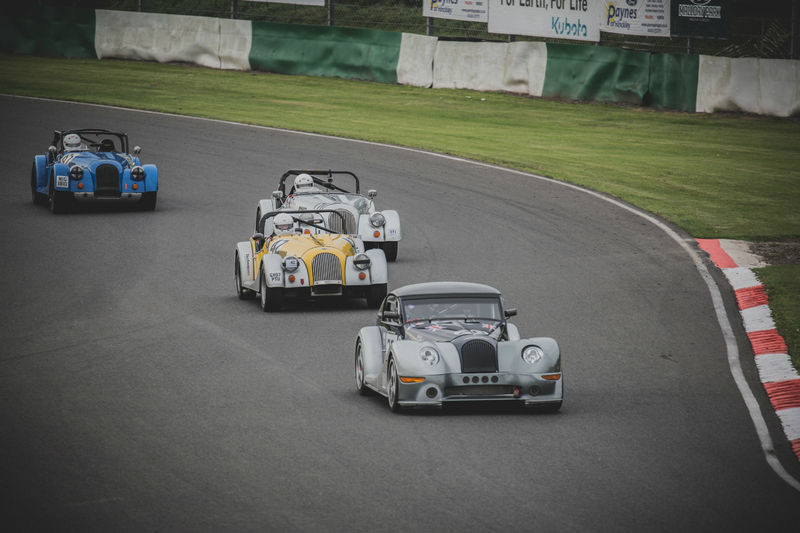 It was left to the Class B cars of Elliot Paterson, Andrew Thompson, Tony Lees and Shane Kelly to battle it out. 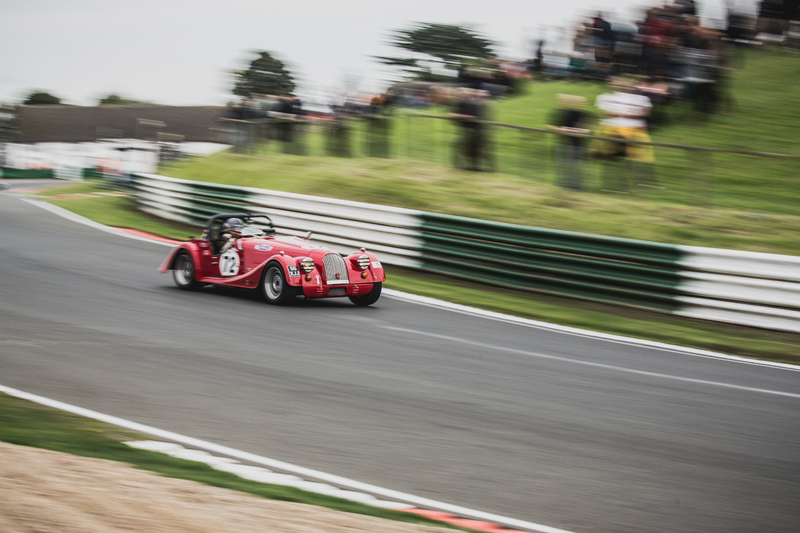 An unfortunate car issue for Shane Kelly on one of the early laps meant he lost valuable time and positions on track. 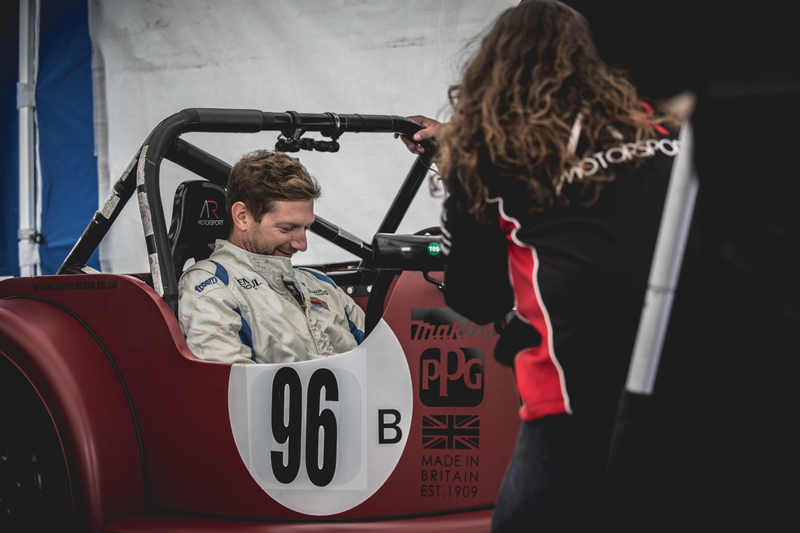 Once he got going again, his times over the race were promising and would have made for an interesting race should his car have behaved. 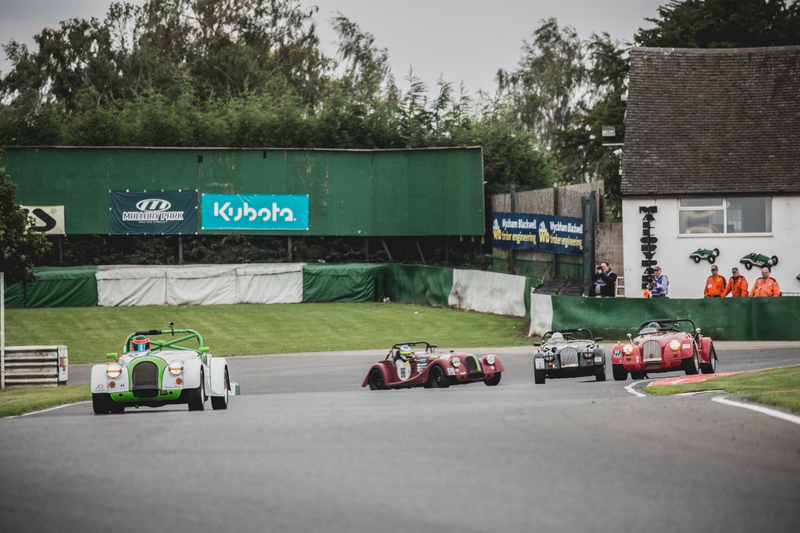 Elliot Paterson put in yet another strong performance, managing to fend off Andrew Thompson and Tony Lees for much of the race, the three of them finishing with only a couple of seconds to separate. 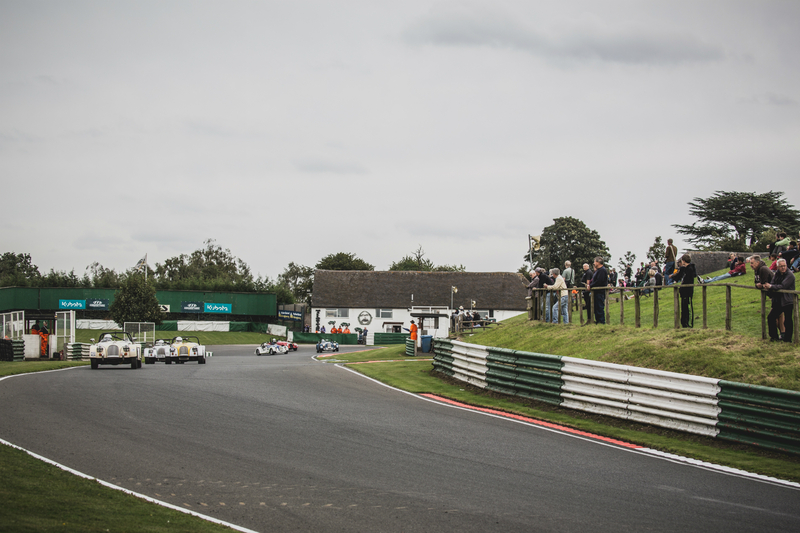 A little further down the field and it was battle of the Babydolls, with Craig Hamilton-Smith hanging onto the coat tails of Phill Thomas for the entirety of the race. 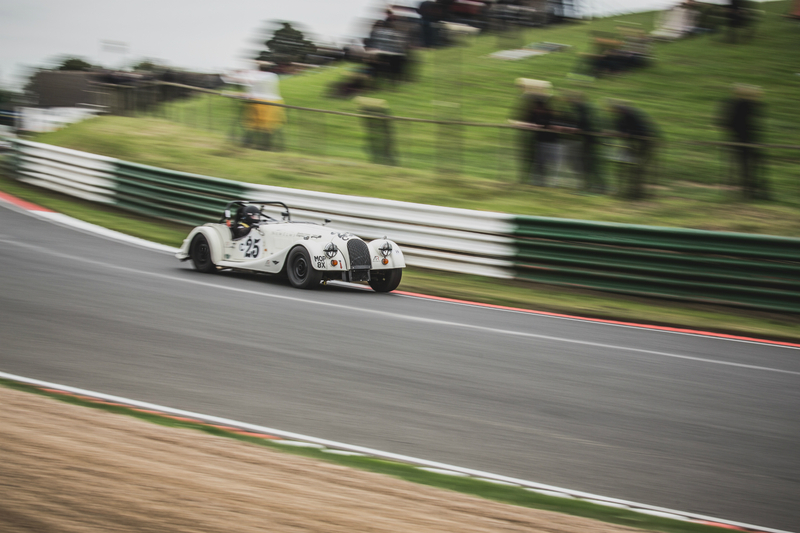 Phill eventually crossed the line ahead of Craig to finish 5th overall and 4th in Class B. 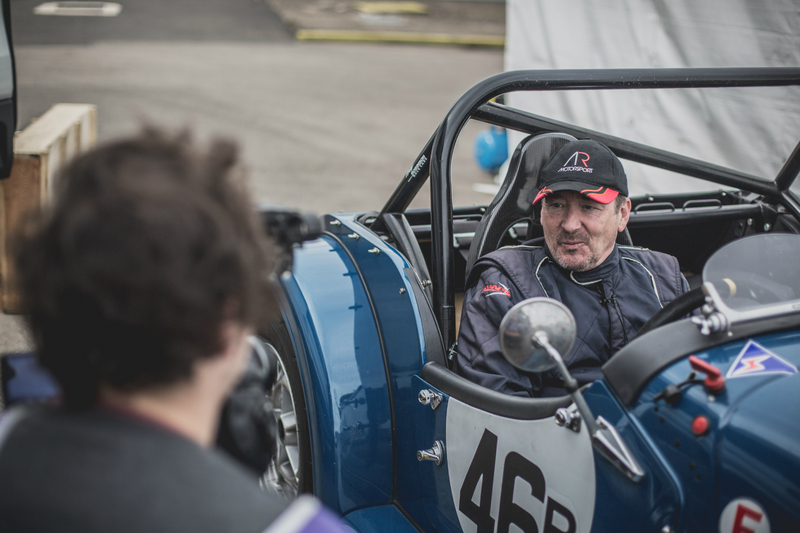 A superb battle, and a well driven first race at Mallory for Mr Thomas saw him awarded Driver Of The Day. 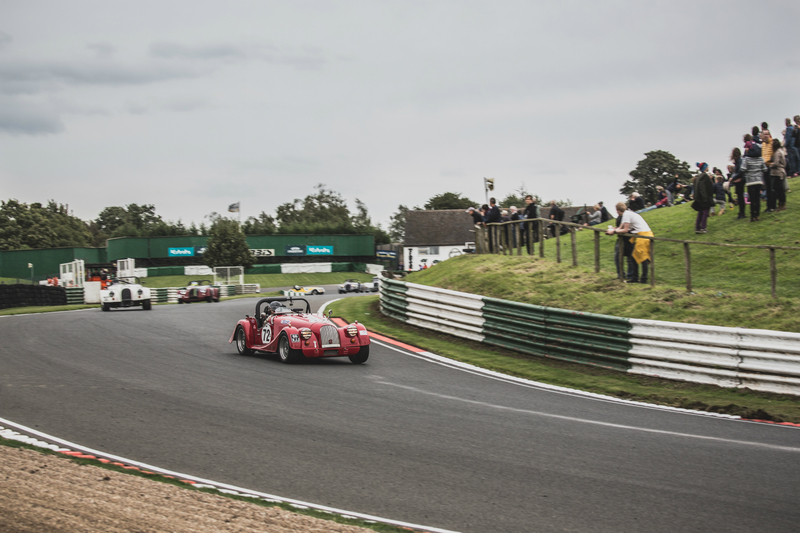 Another great battle between Stuart Anderson and Tim Parsons was only interrupted towards the end of proceedings by Shane Kelly who was making his way back up the field and put himself inbetween the two yellow cars. 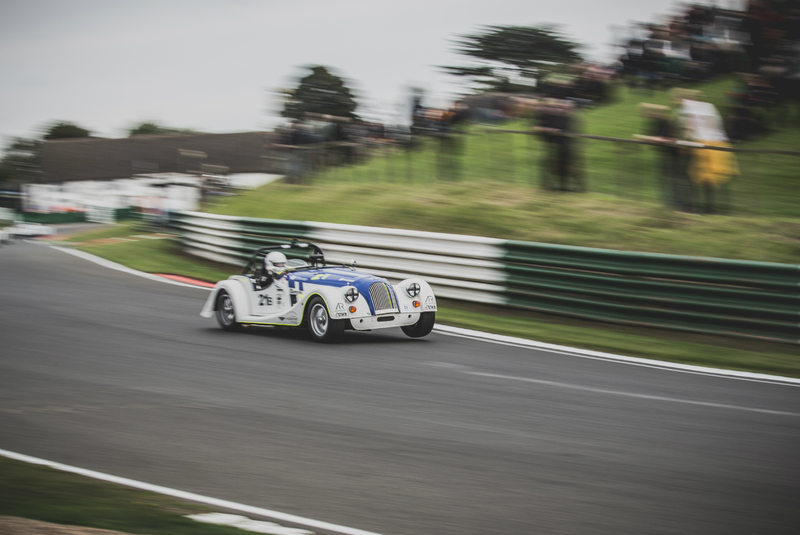 Tim Parsons winning Class R once again. 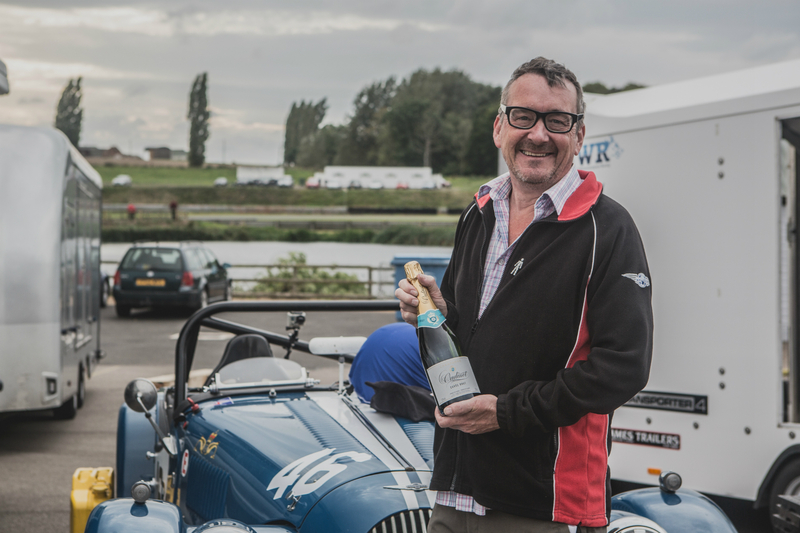 Henry Williams spent most of the race on his own, winning Class D convincingly, and finishing just ahead of Tim Ayres who was the only Class C entrant. 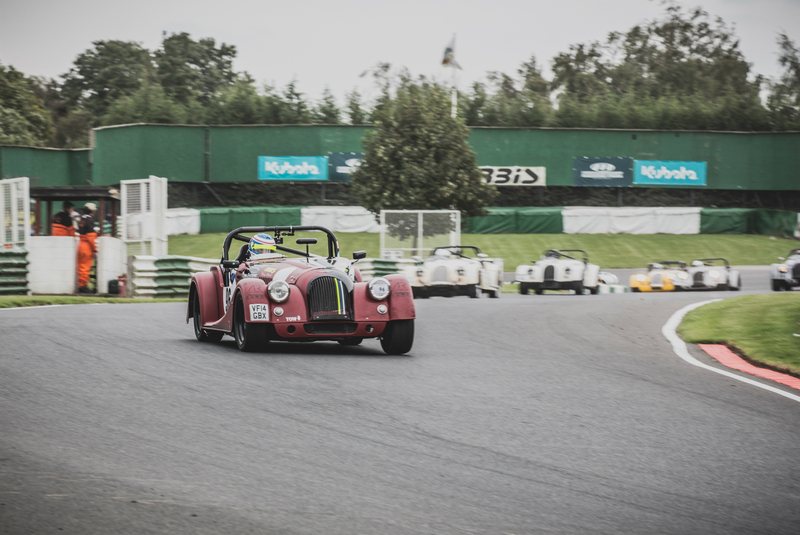 Greg Parnell, Peter Cole and Alex Laidlaw were only a matter of seconds apart after some good racing between them. 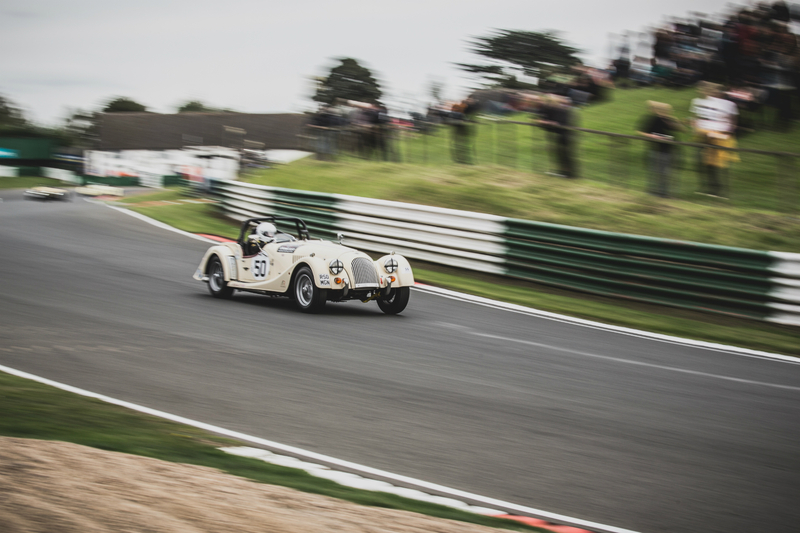 On her own in Class E was Michele Bailey who finished in 17th position. 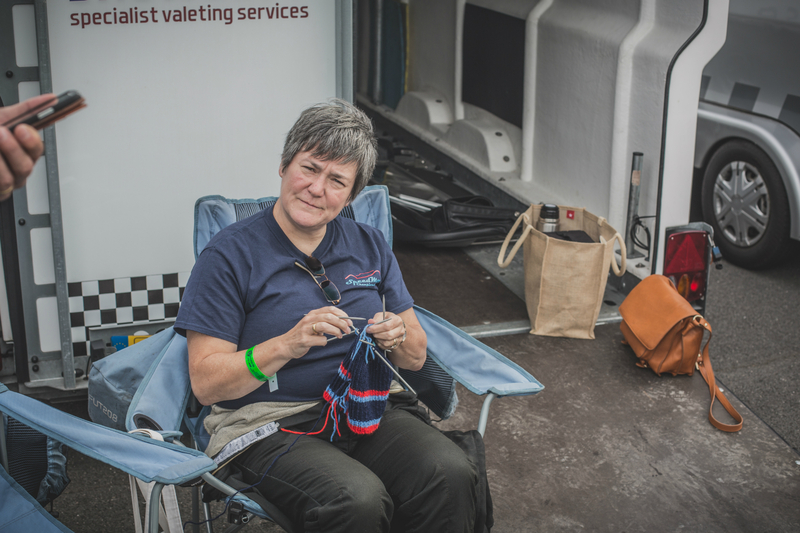 A popular character within the challenge series, Michele had taken a break from knitting in the paddock to go and race. 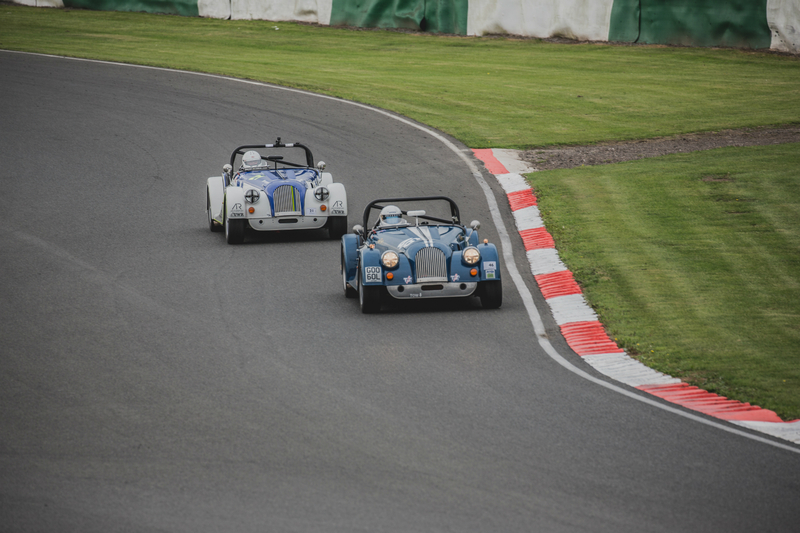 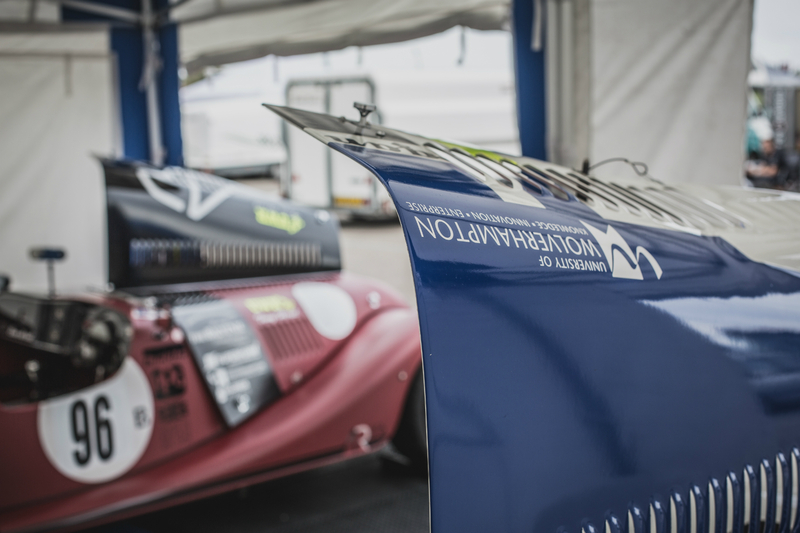 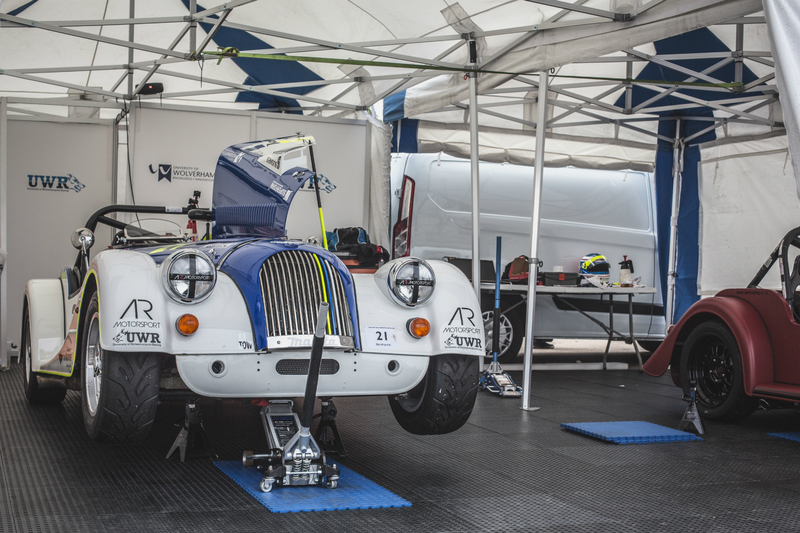 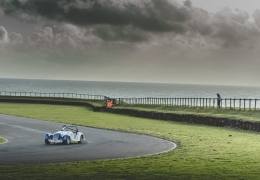 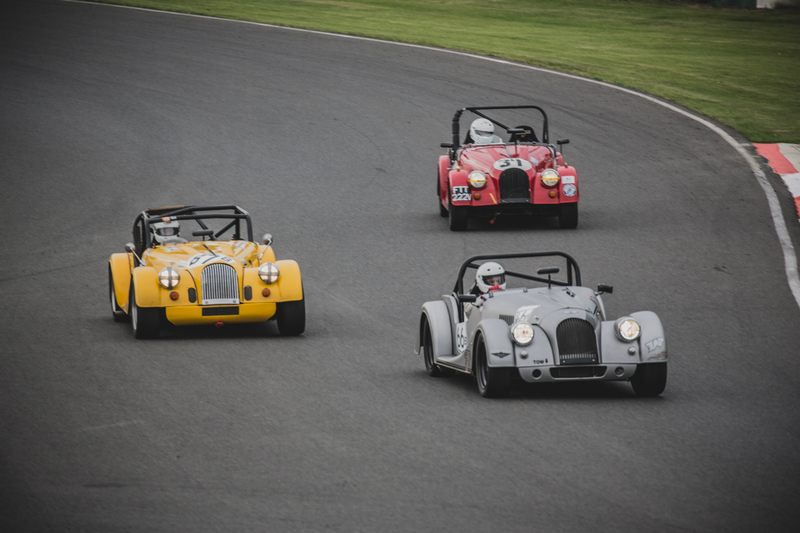 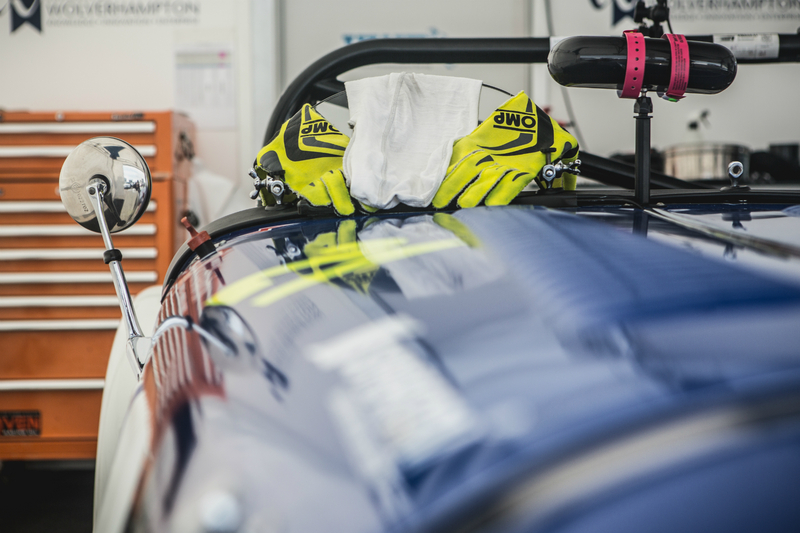 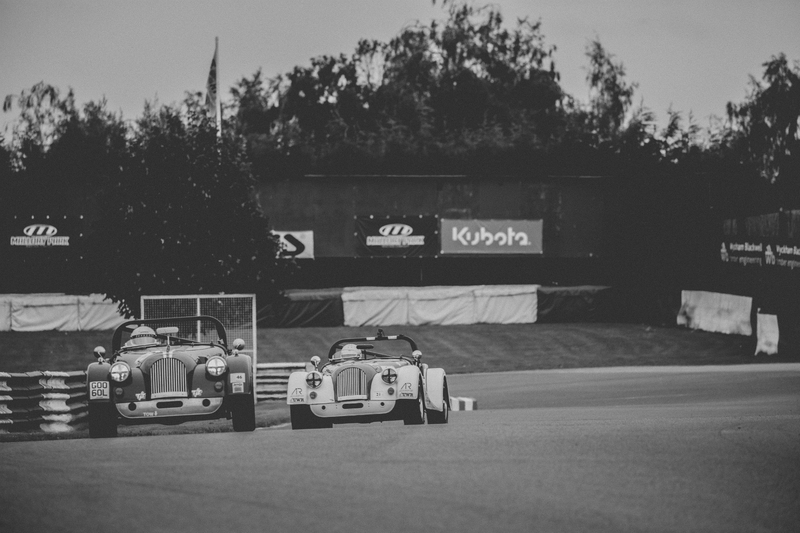 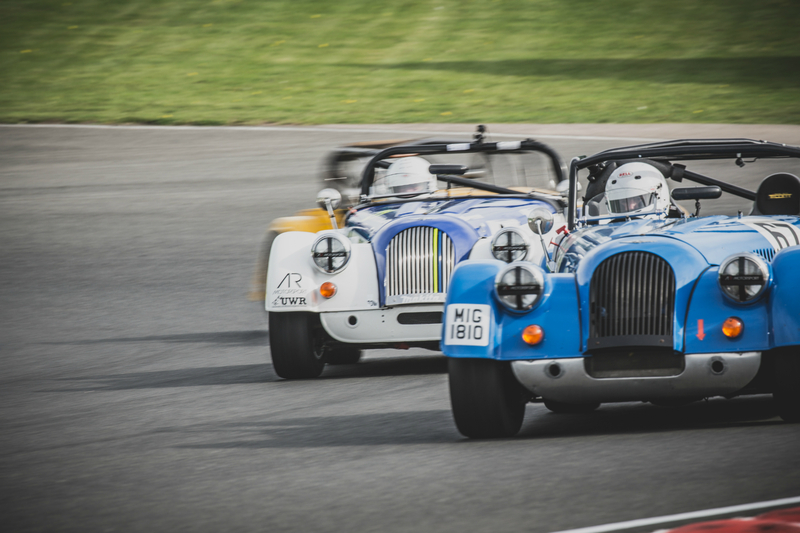 All in all some great racing up and down the field on a very challenging and merciless circuit, next up is the final round of the Morgan Challenge 2016 at Snetterton on Saturday 1st October, followed by a relay race on the 2nd.